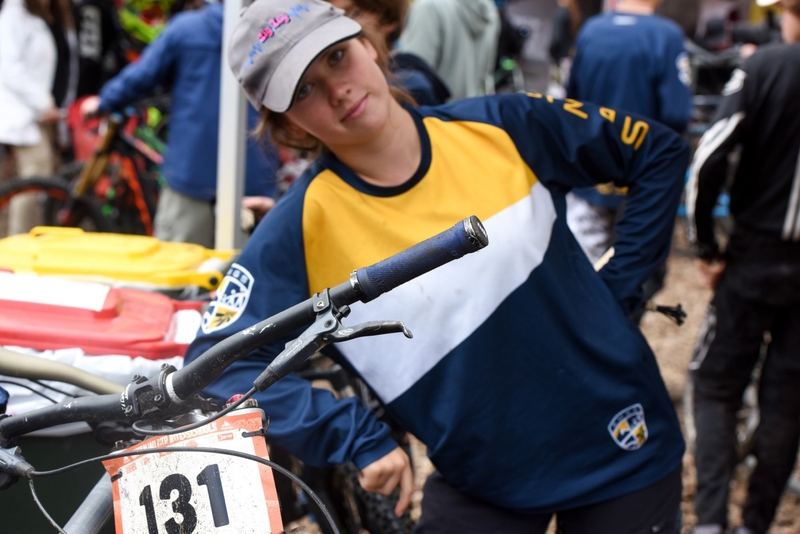 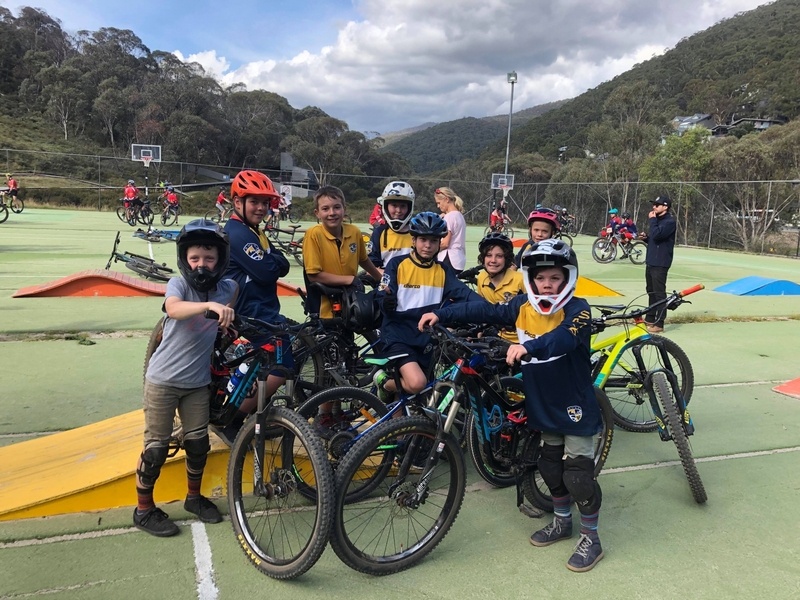 SMGS’ Mountain Bike Program is multi-faceted, with students having the opportunity to participate in the three mountain bike disciplines of freeride, downhill and cross-country. 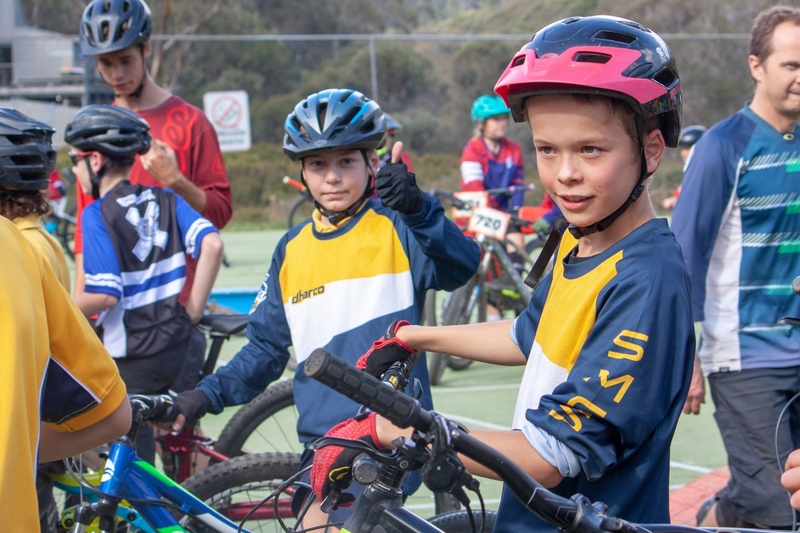 A four-week after-school social ride program aimed at Junior School students. 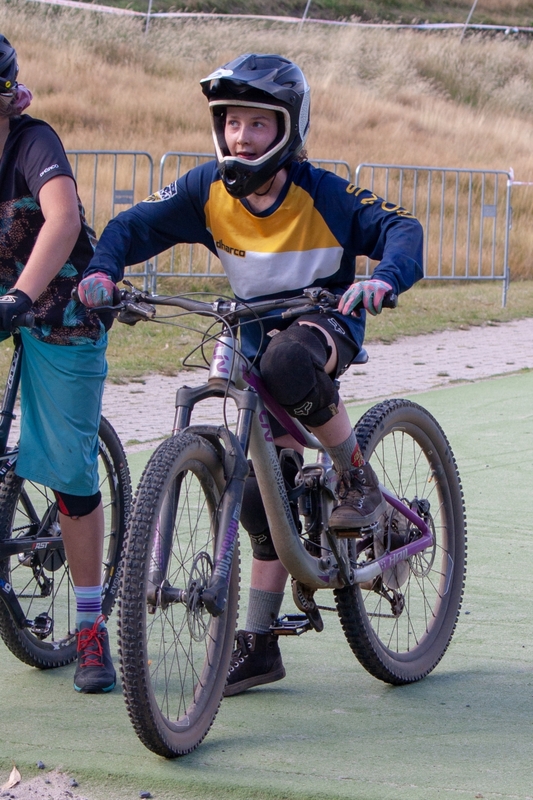 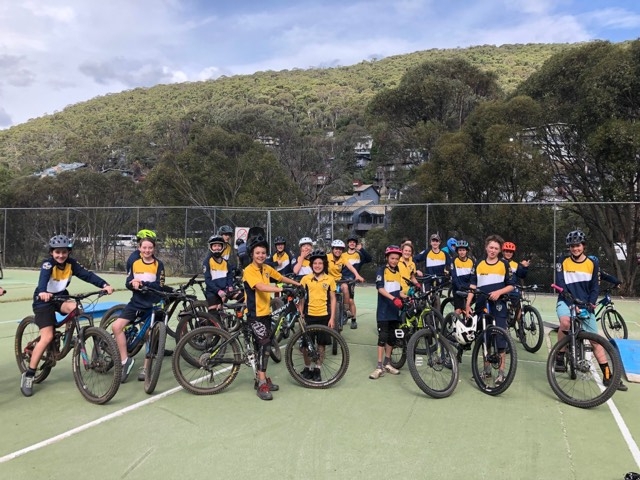 In 2019, the program has transformed into the K-4 mountain bike club and is coached by Jindabyne Girl Riders. 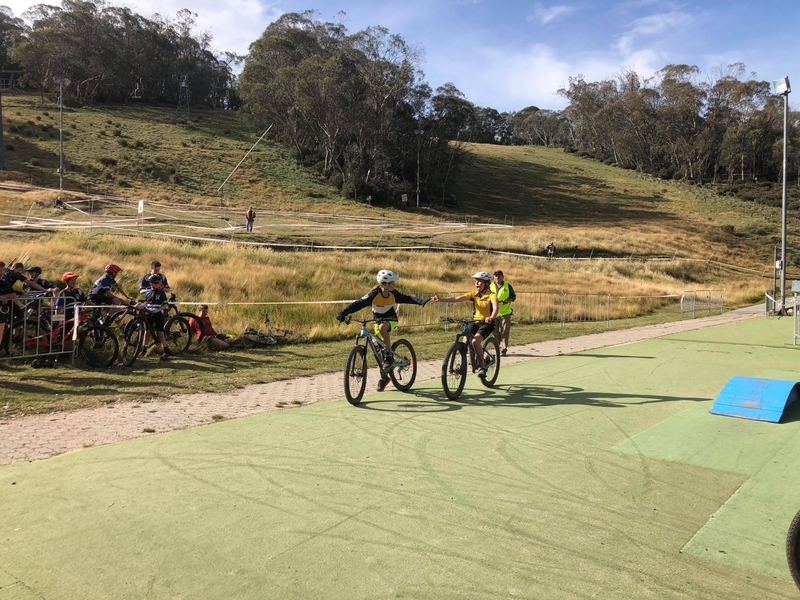 Group instruction is based on ability level and interest across each mountain bike discipline; for example, beginner cross-country students would ride at Hatchery Bay, while the advanced group would ride the Mill Creek/Tyrolean trail network. 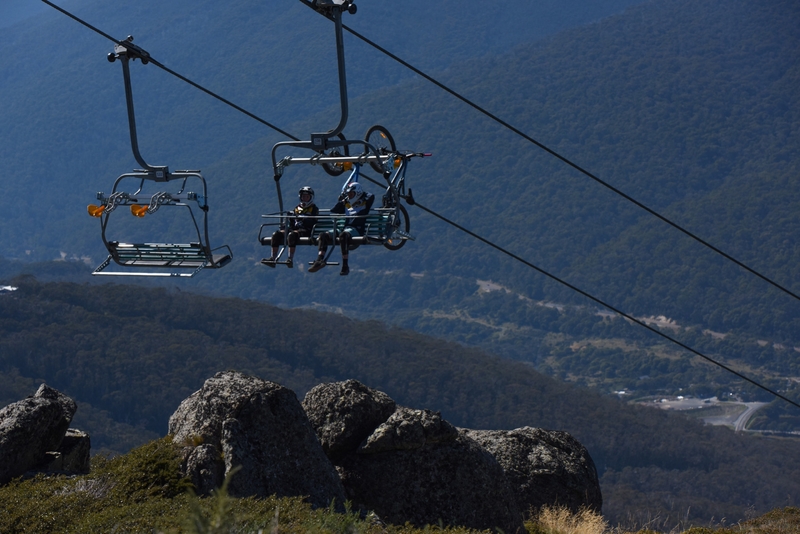 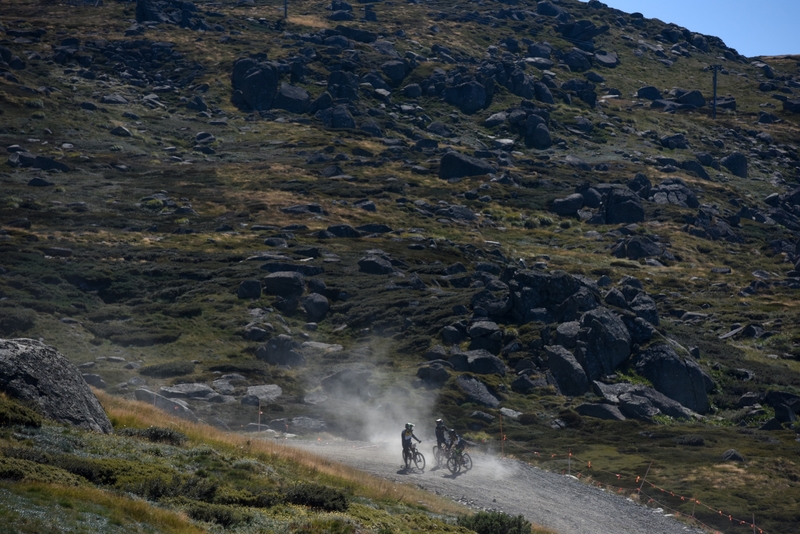 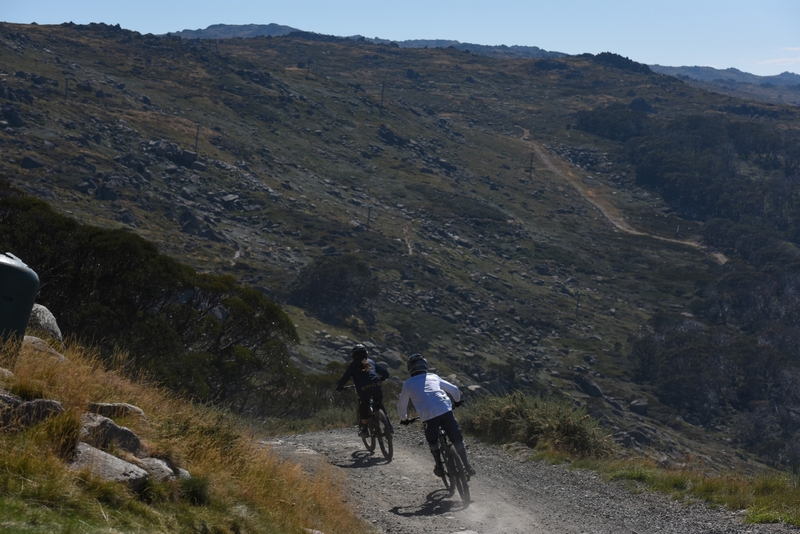 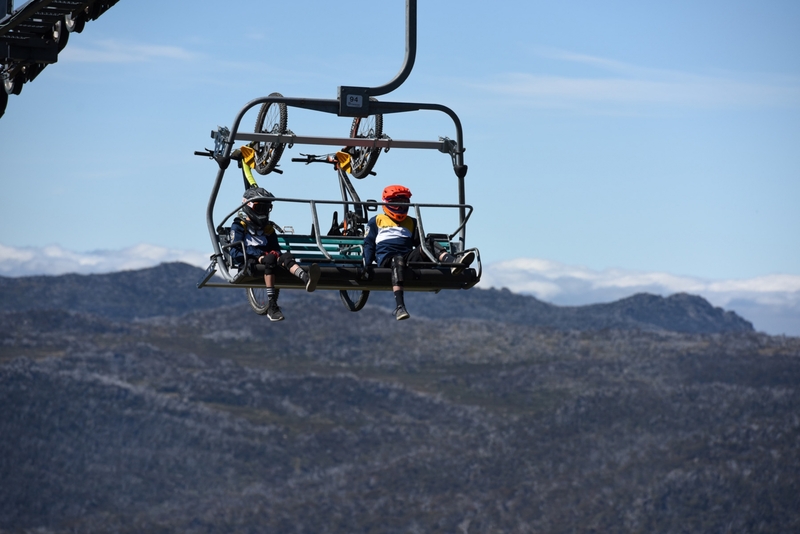 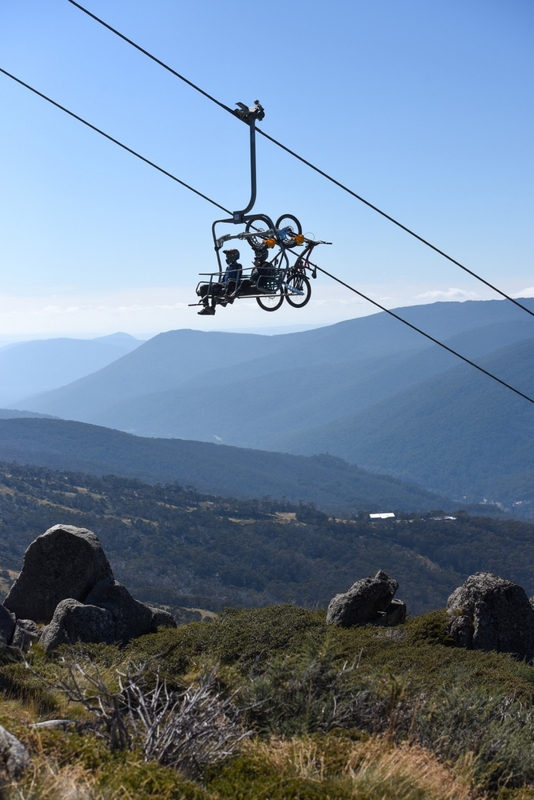 Thredbo downhill and freeride instruction is based on ability levels. 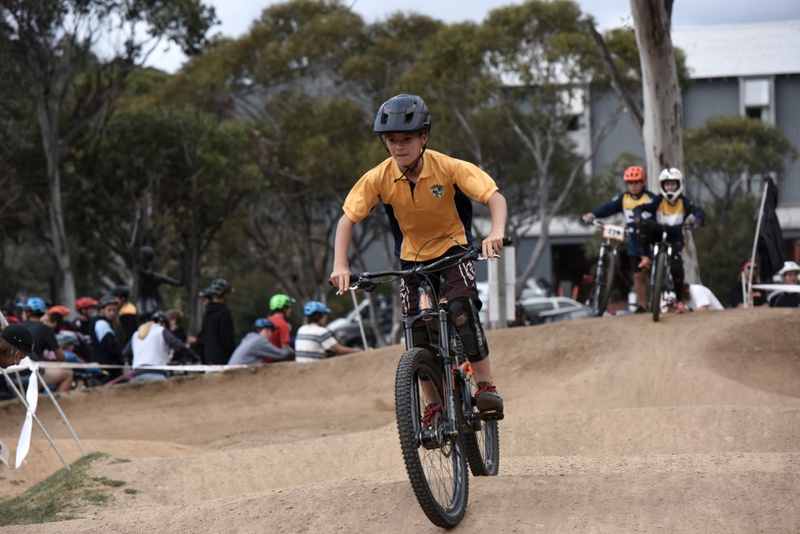 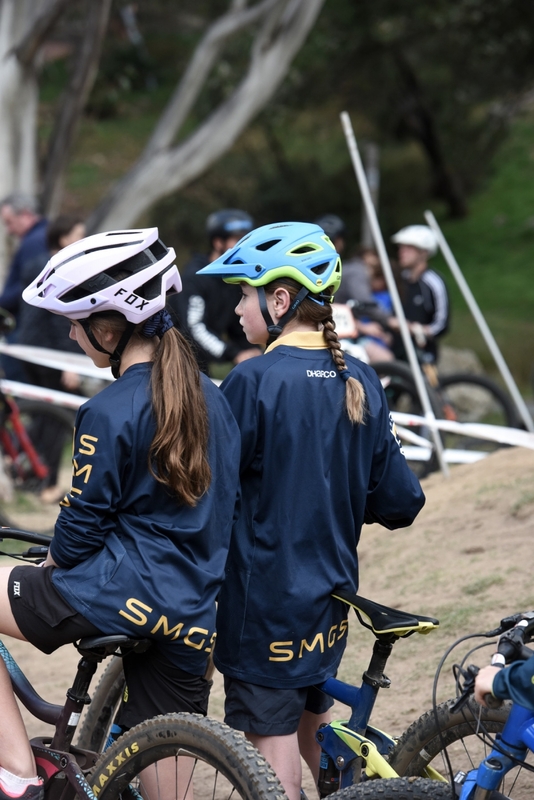 Late in 2018, our efforts to layer in mountain bike development opportunities for our students saw SMGS recognised as a Mountain Bike Australia School of Merit. 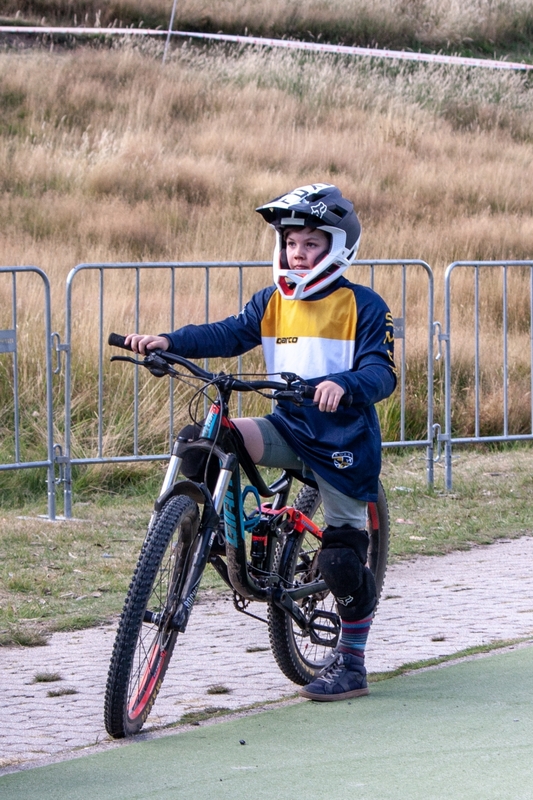 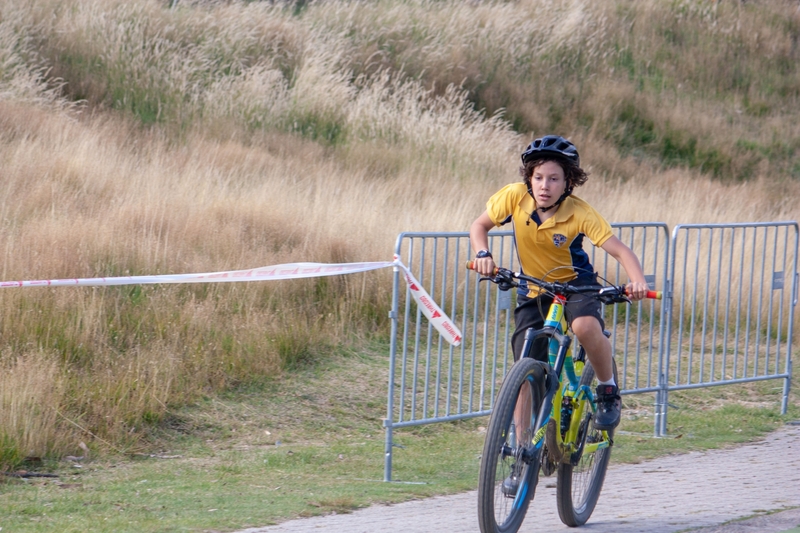 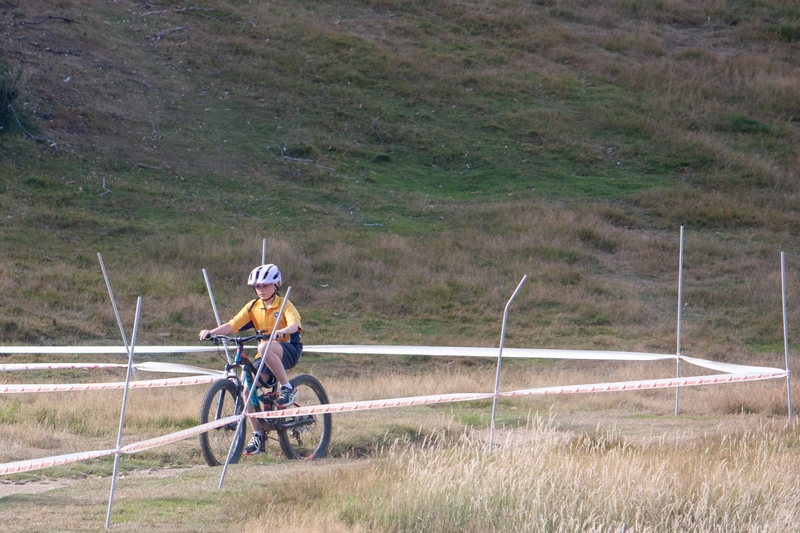 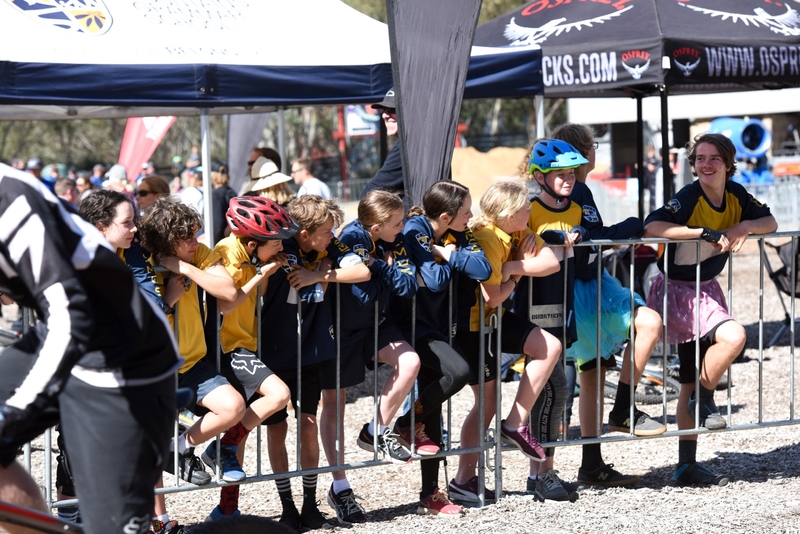 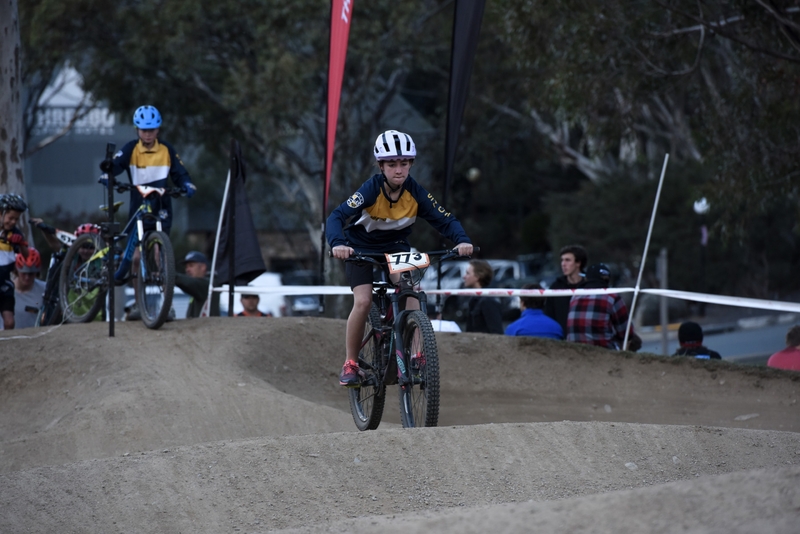 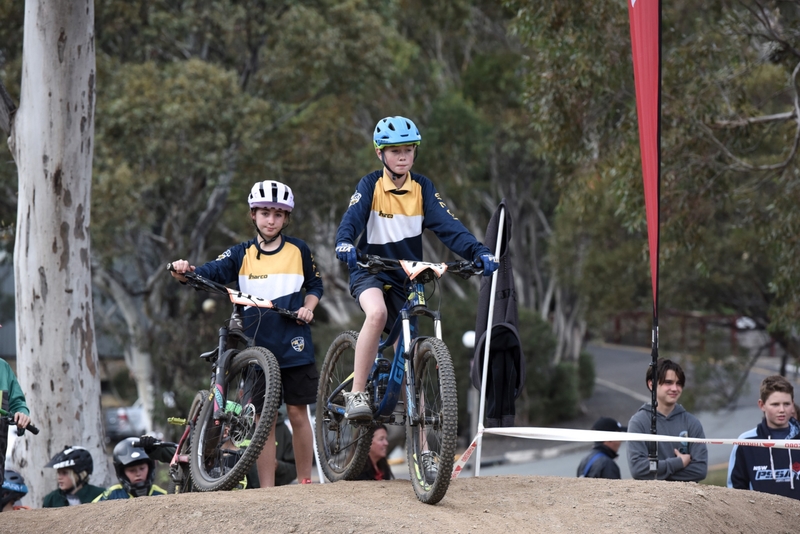 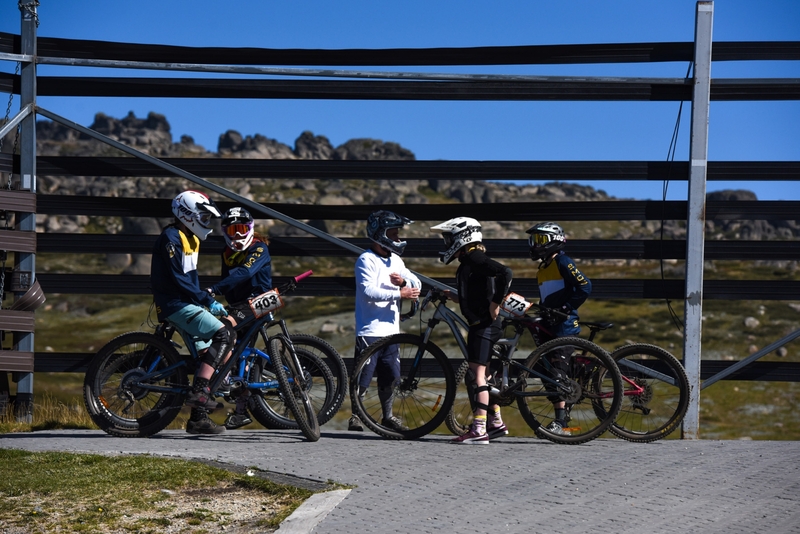 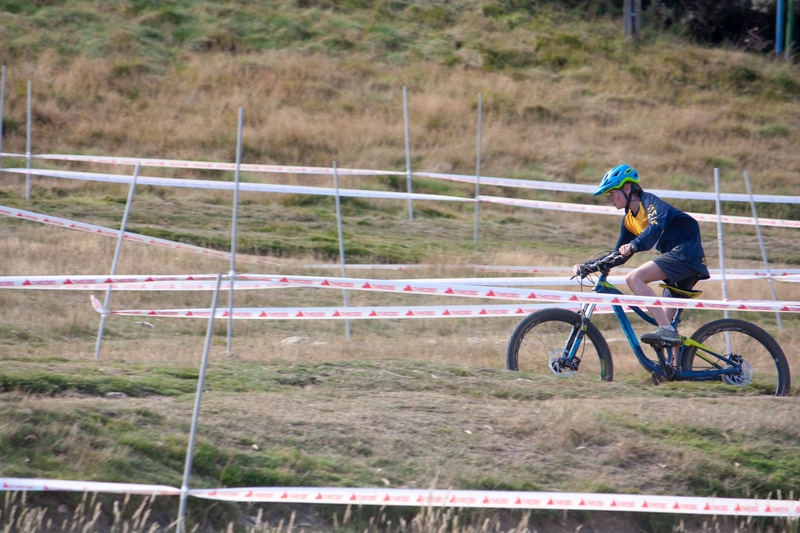 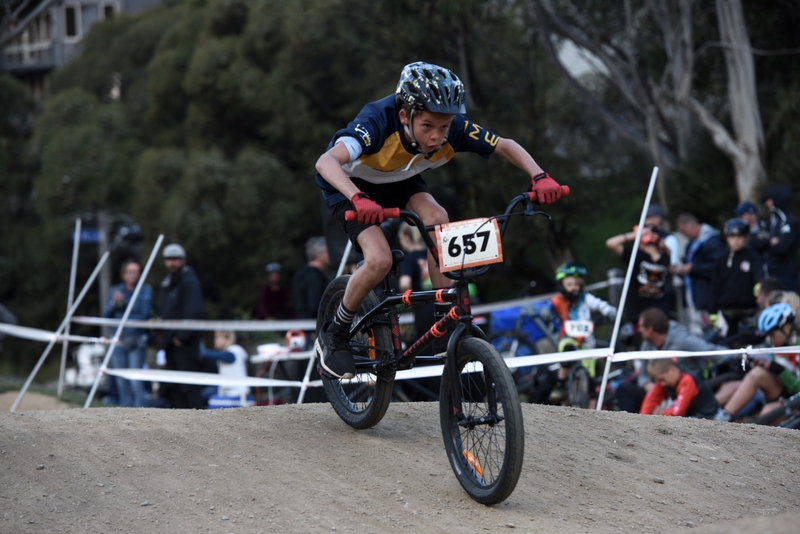 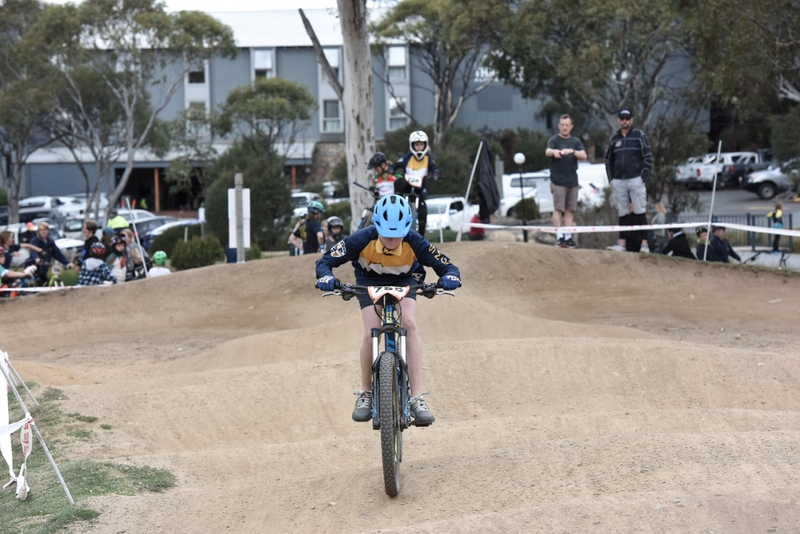 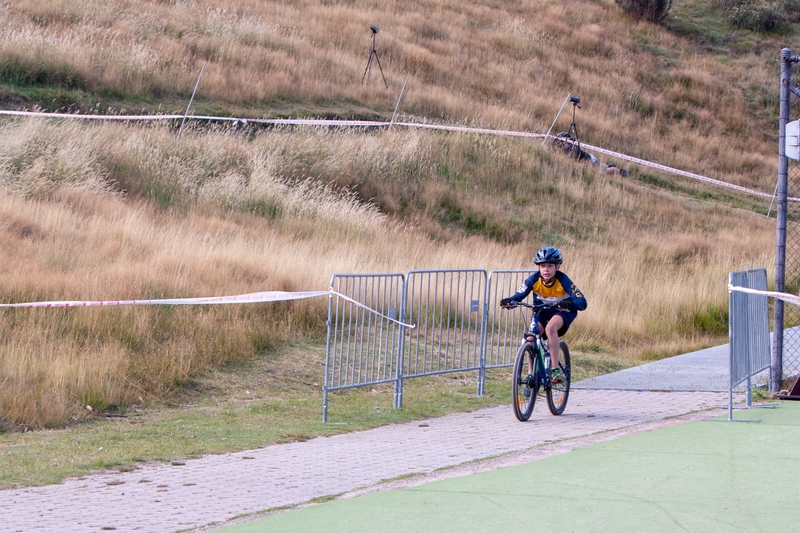 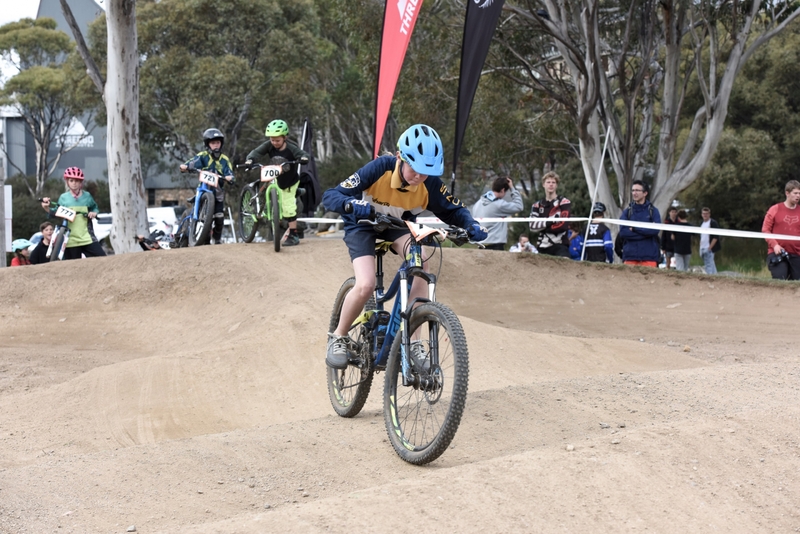 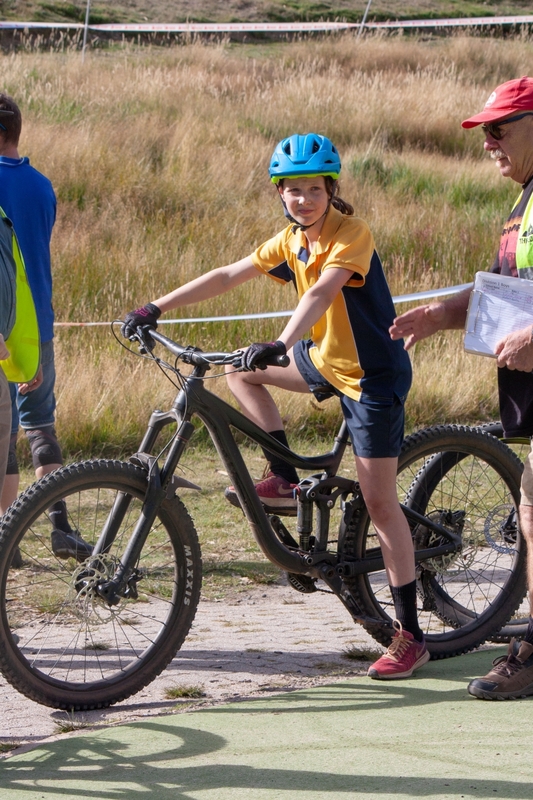 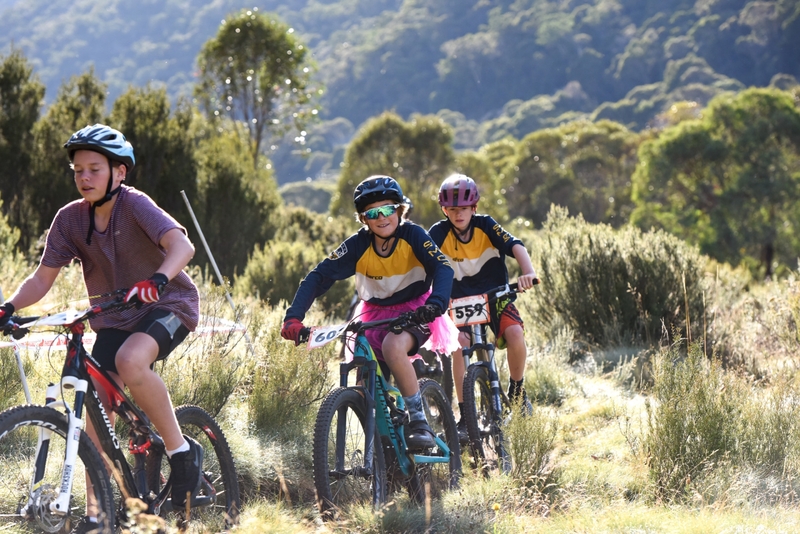 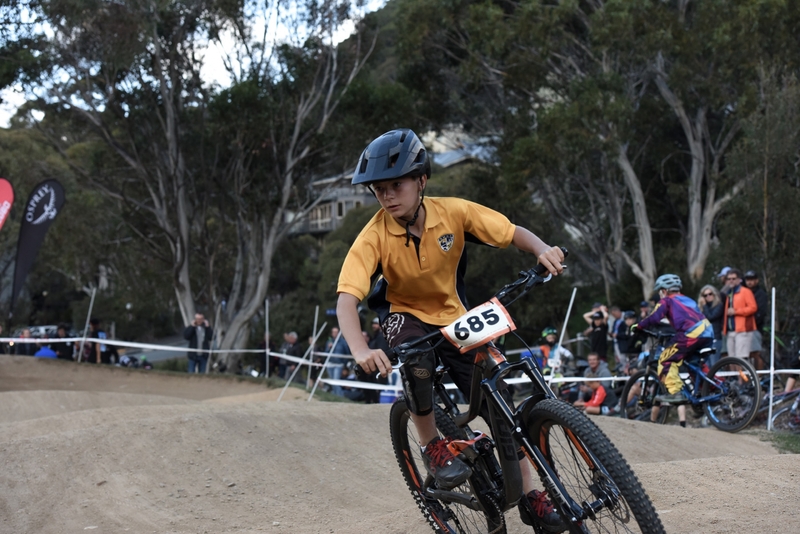 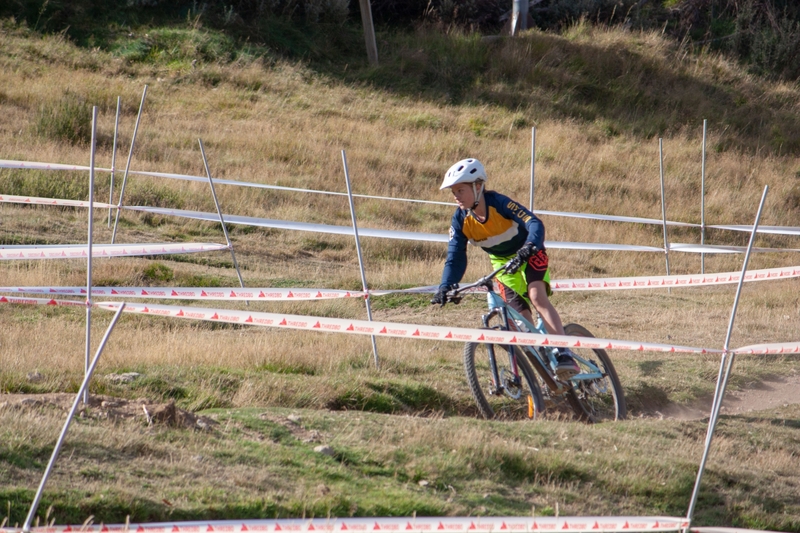 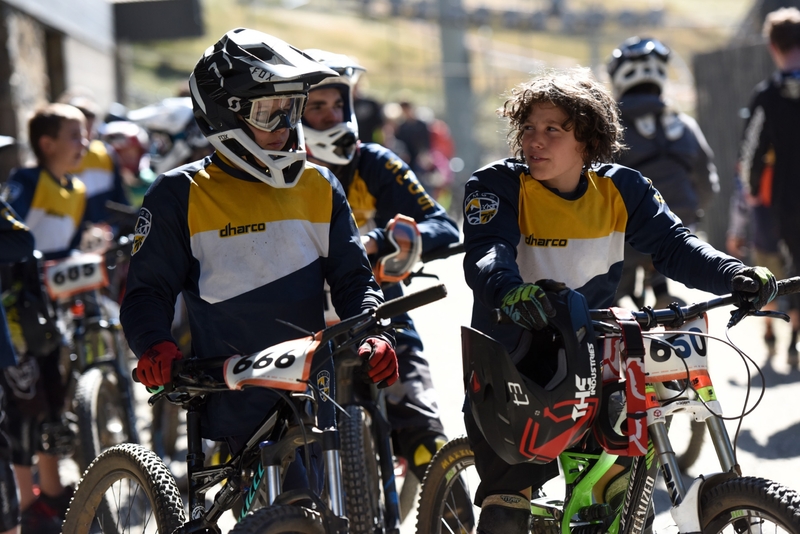 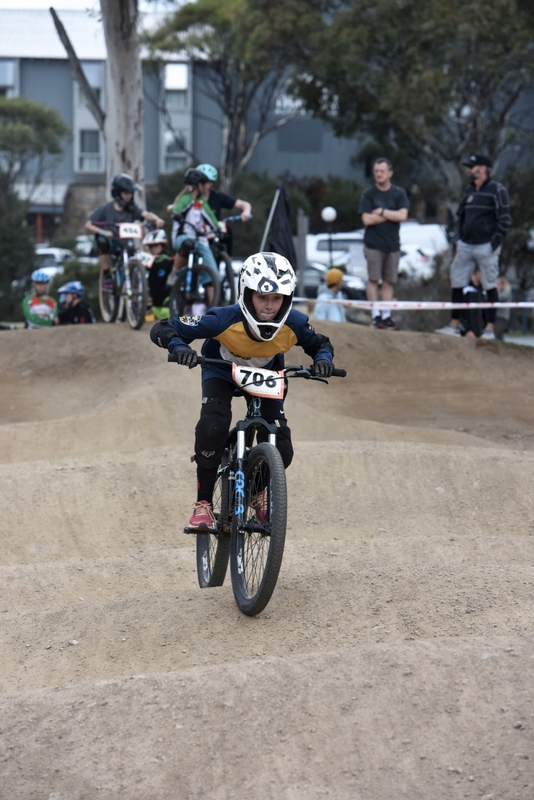 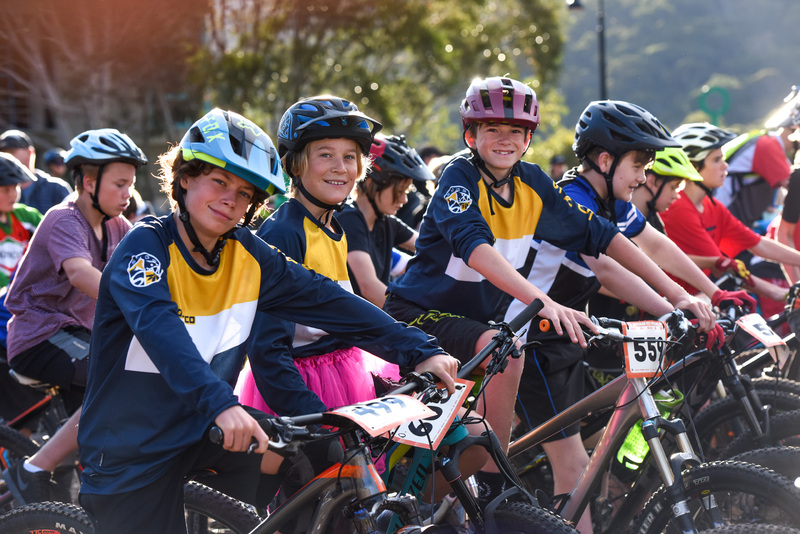 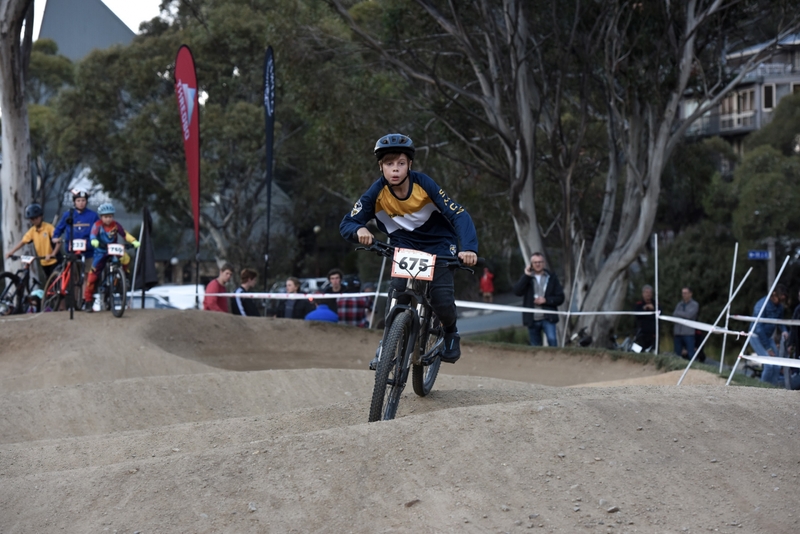 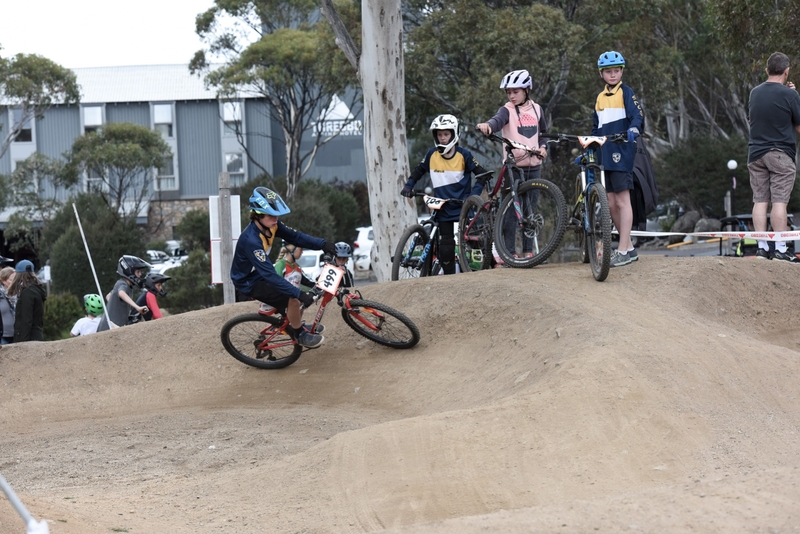 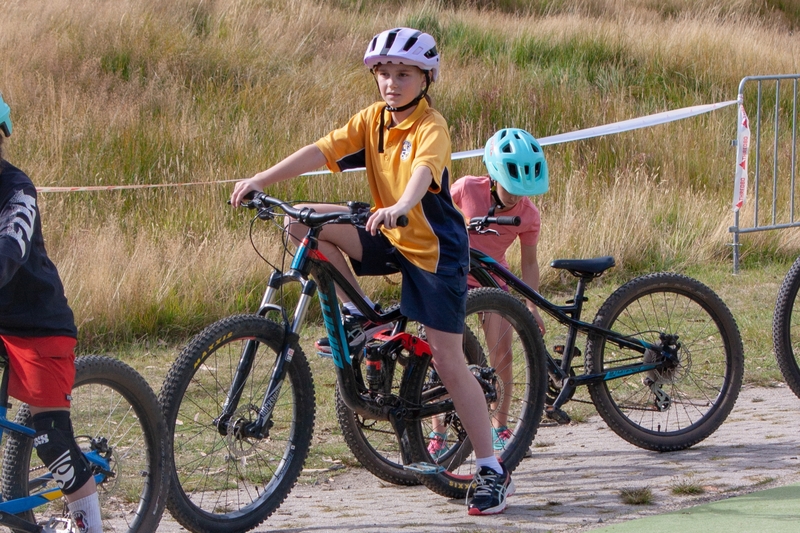 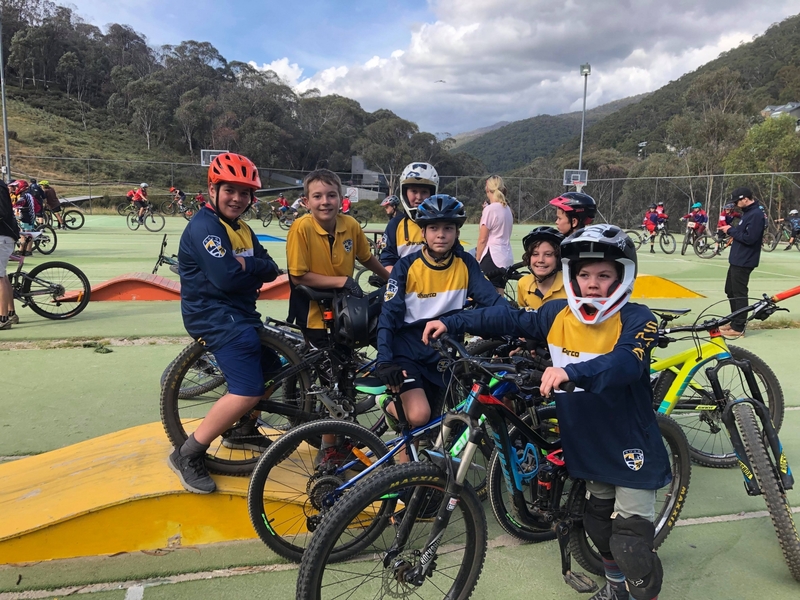 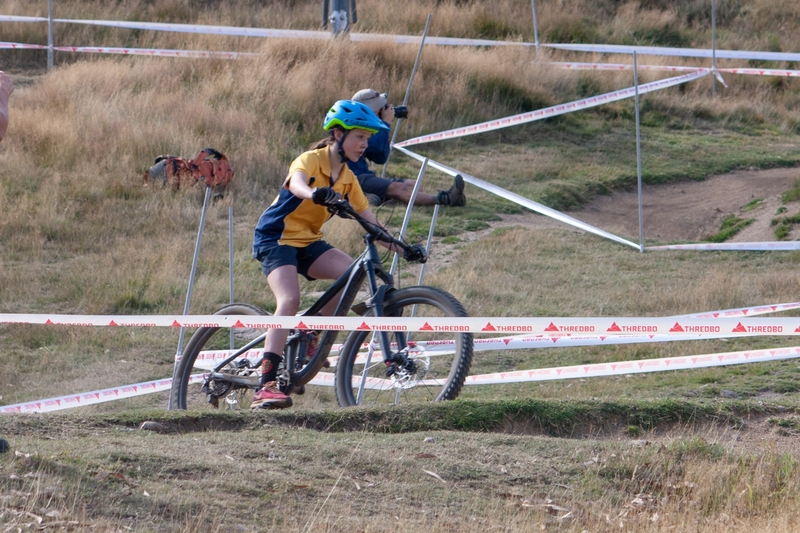 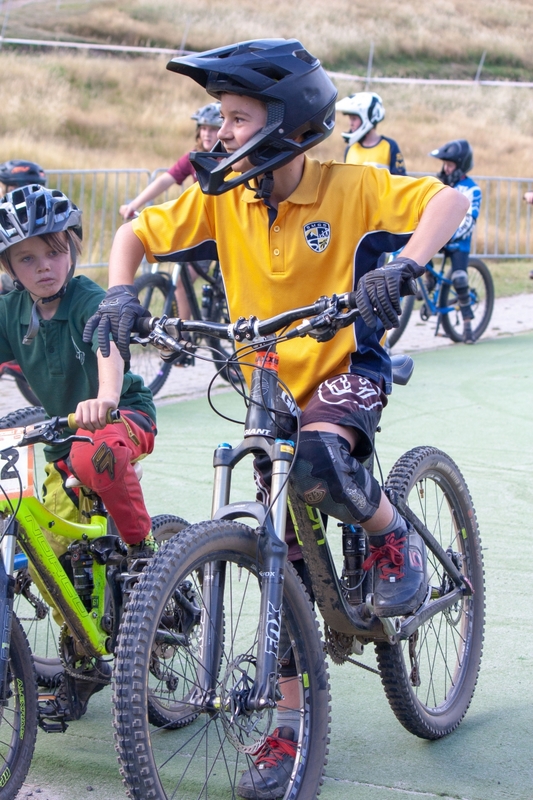 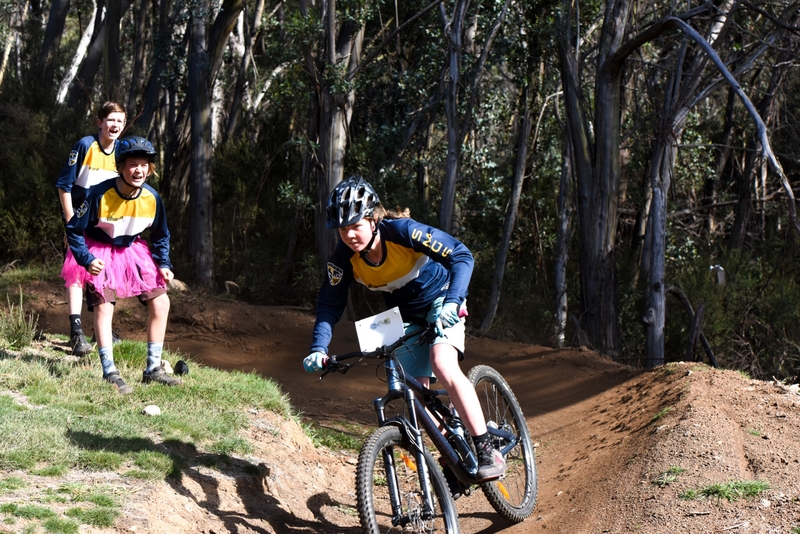 The increased focus on development, particularly for our Junior School students, paved the way for an increase in participation numbers of SMGS students at the 2019 Mountain Bike Interschools held at Thredbo Resort on 14-17 March 2019. 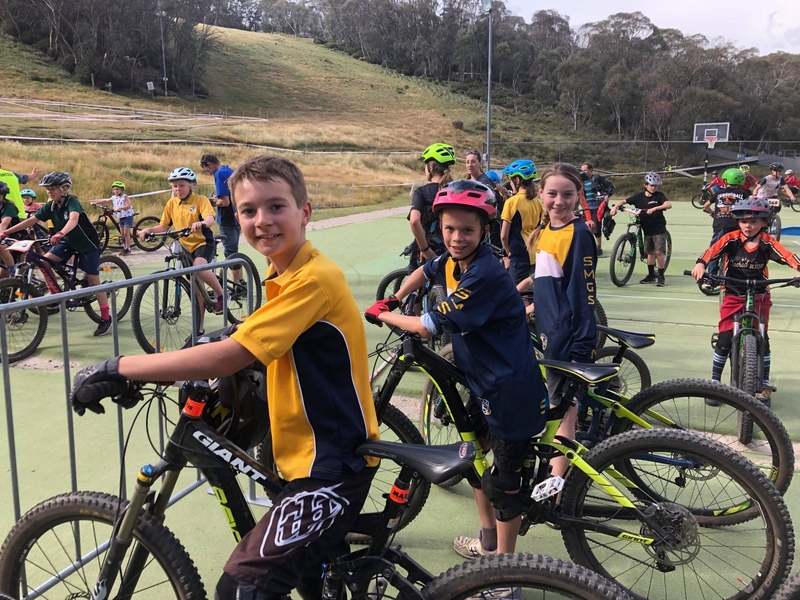 This year, 38 students from SMGS participated at the interschools event across all disciplines, with 23 Senior School participants and 15 Junior School participants, and with many of our Junior School students competing for the first time. 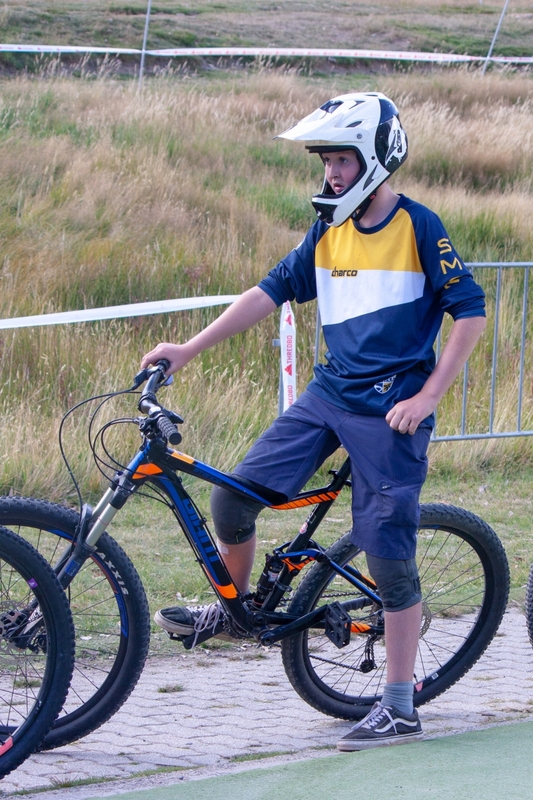 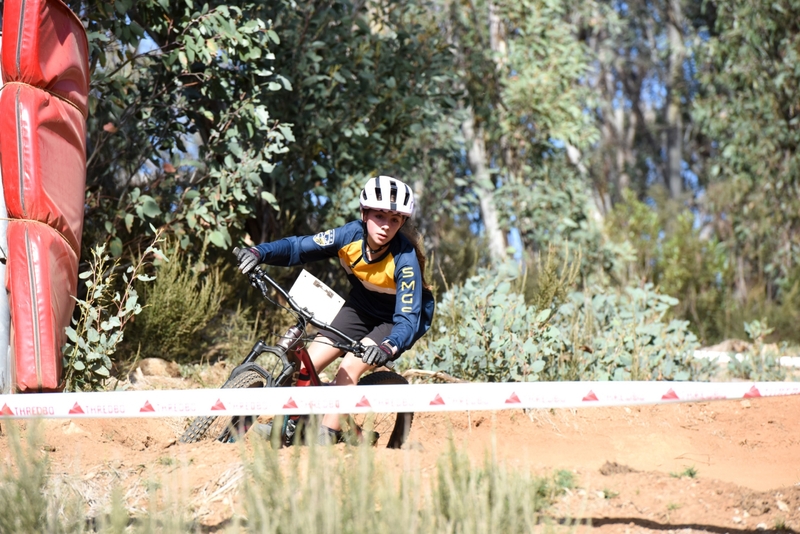 Of SMGS’ participation and results at this year’s Mountain Bike Interschools, SMGS MTB co-ordinator, Mr Ben O’Brien, said, “My first involvement in the National MTB Interschools was a fantastic experience and also being able to see how fast the sport is growing, as well as the commitment from all families, schools and participants. 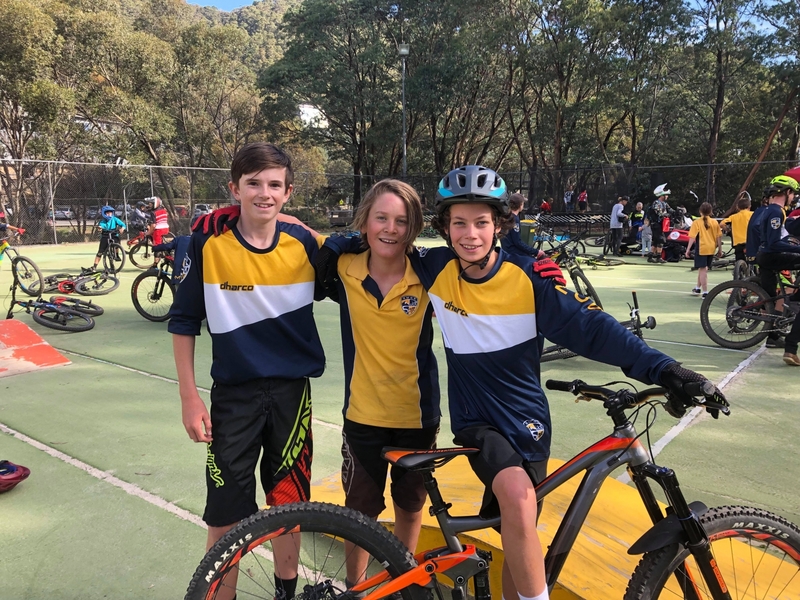 It was great to see the SMGS team come together, support one another and other schools over the four days, showing a strong team spirit. 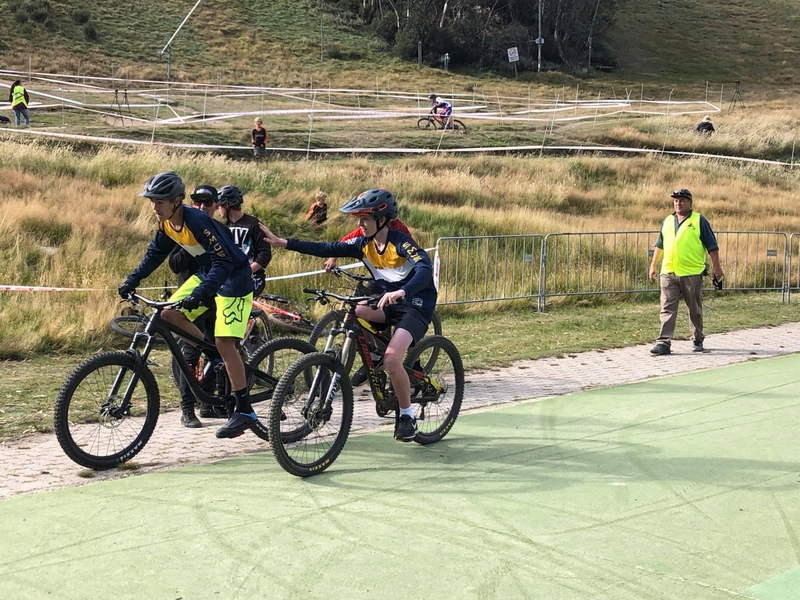 “The level of competition is fantastic across all divisions and was a positive indicator of our progress as a mountain bike team. 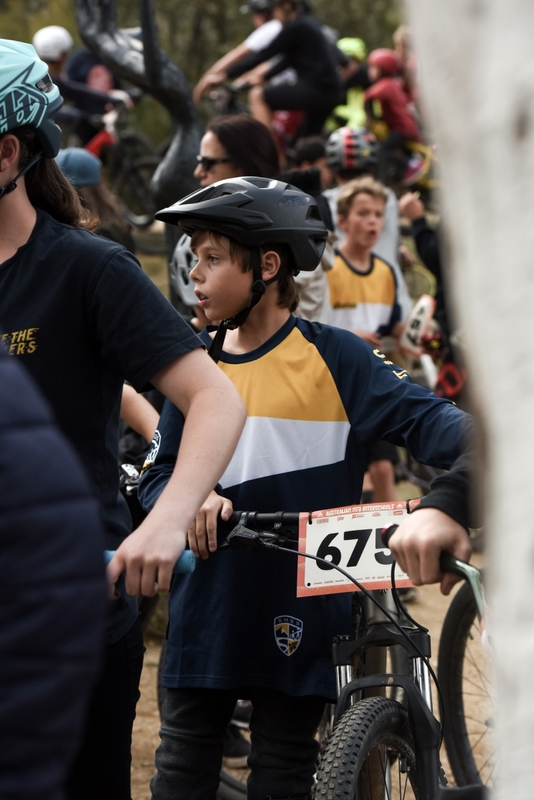 Having the second highest number of entrants in the event this year was very pleasing to see and I am already looking to 2020 and how we can improve students’ participation, preparation and contribution to this fantastic sport. 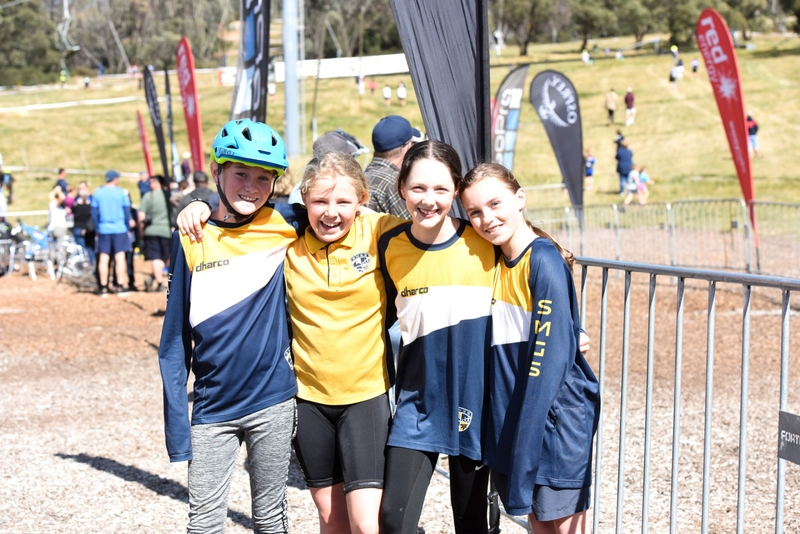 “The younger divisions showed how much fun competition can be, and they led by example, collecting several team awards including the Division 4 boys and girls Flow championships, the Division 3 and 4 girls team placing 2nd in XC and the Division 4 boys team placing 3rd in XC. 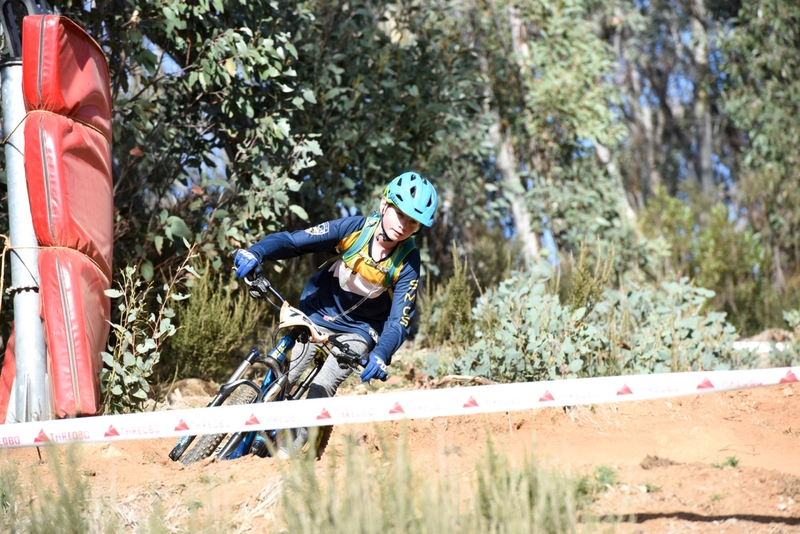 “A huge congratulations to our Division 3 Queen of the Mountain (QOM), Ruby Smith. 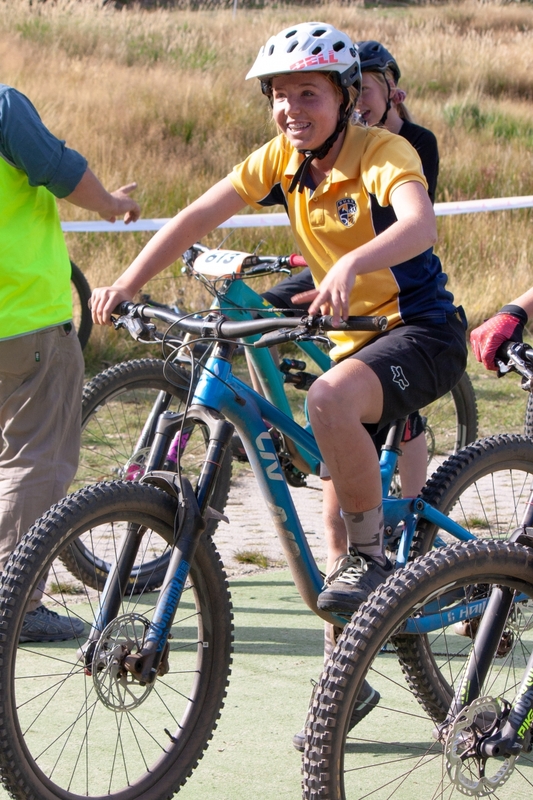 Ruby had been working very, very hard in the lead-up to the event and had the goal of Division 3 QOM going in. 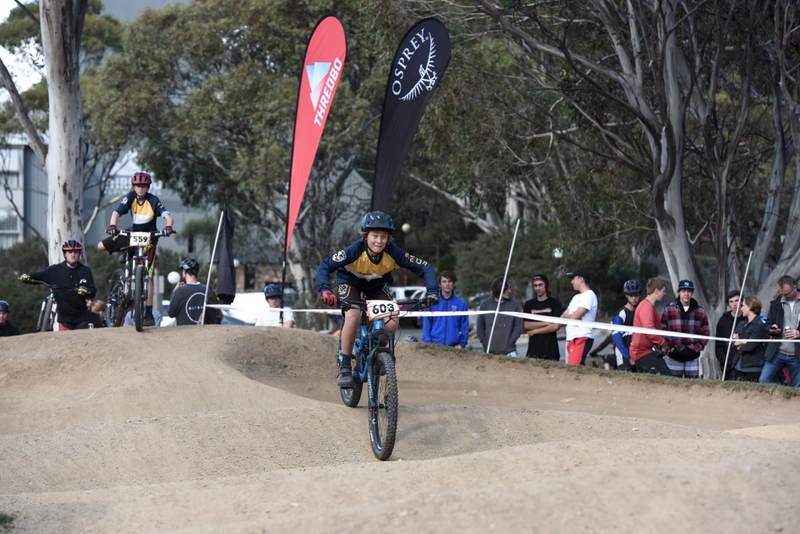 Over the weekend, Ruby won the Division 3 Flow Motion Cup and the Cannonball Downhill, took 2ndin the Pump Track Challenge and 4thin the cross-country event. 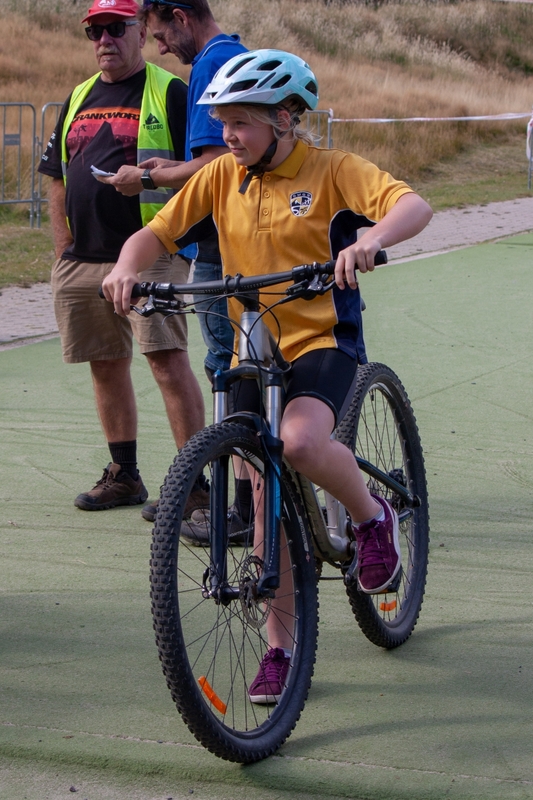 When asked about her fantastic results, Ruby said, “The downhill was heaps tricky in the rain but I just managed to come out clean! 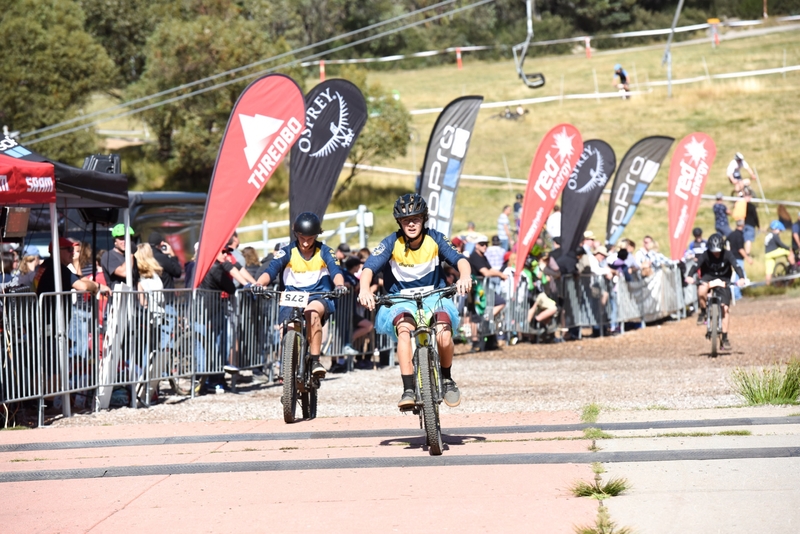 1st place – Division 4 Male Team: Will McKay, Billy Brown, Max Forrest, Harry Fuller, Luka Pasalich, Archer Henness, Jethro Baker, Blake Bell, Clay Baker, Jack Lyster, Aiden Moore. 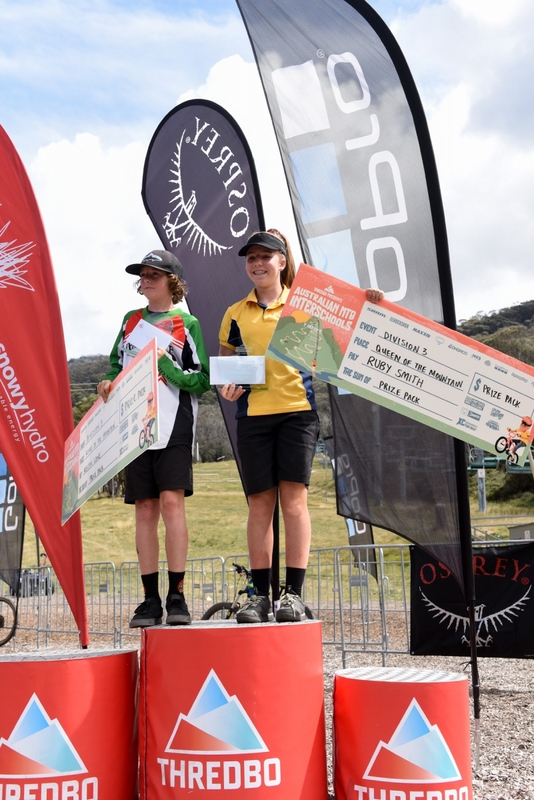 1st place – Division 4 Female Team: Samantha Stynes–Garratty, Ally Quinn, Matilda Henness, Stella Smith, Olivia Roche. 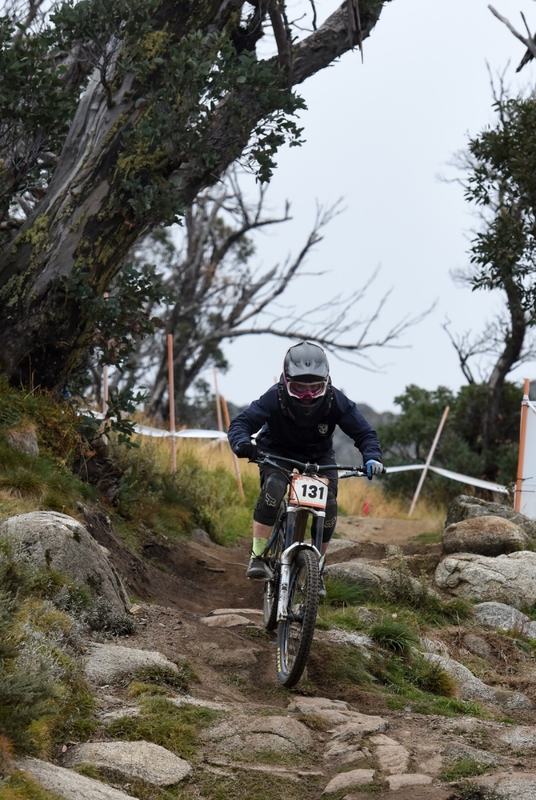 2nd– Division 4 Female Team: Samantha Stynes–Garratty, Matilda Henness, Stella Smith, Olivia Roche, Ally Quinn. 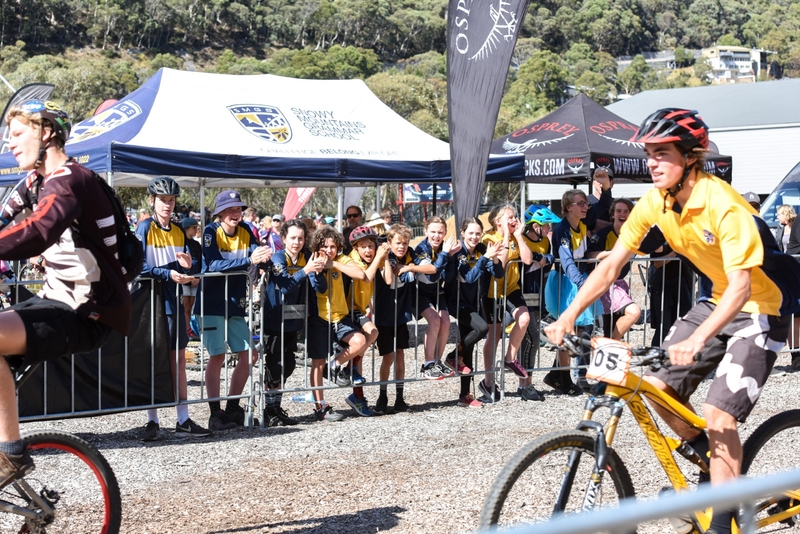 Of SMGS students’ conduct on and off the trail, Principal Dr Andrew Bell was proud to report on a number of stories that were relayed to him over the Mountain Bike Interschools weekend, saying, “While excelling is tangibly rewarded when achieving podium status, and rightfully so, there are other important forms of accomplishment that are often celebrated more intrinsically. 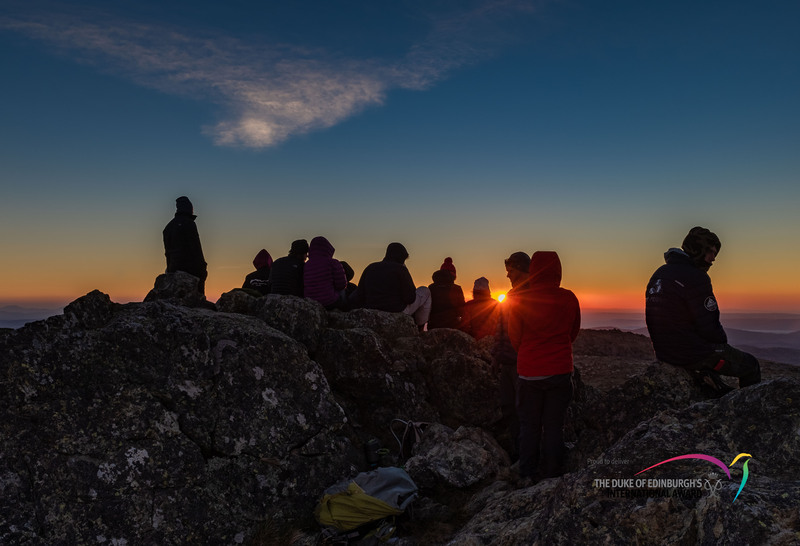 This occurs when personal best, maximum effort and self-improvement are accomplished away from the spotlight, but where one feels fulfilled for these reasons, knowing one has given one’s all. 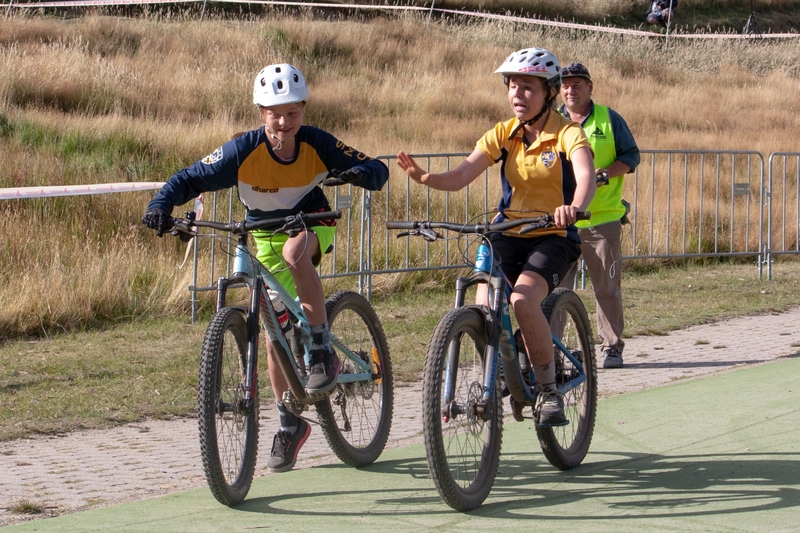 “The other dimension of competition that is not recognised through the awarding of medallions is sportsmanship. 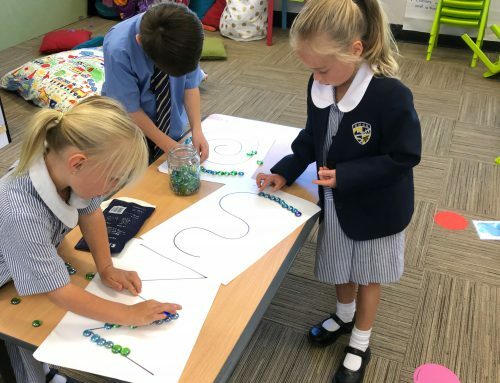 We talk about the importance of this character trait as a school community, as I am certain most families do at home. 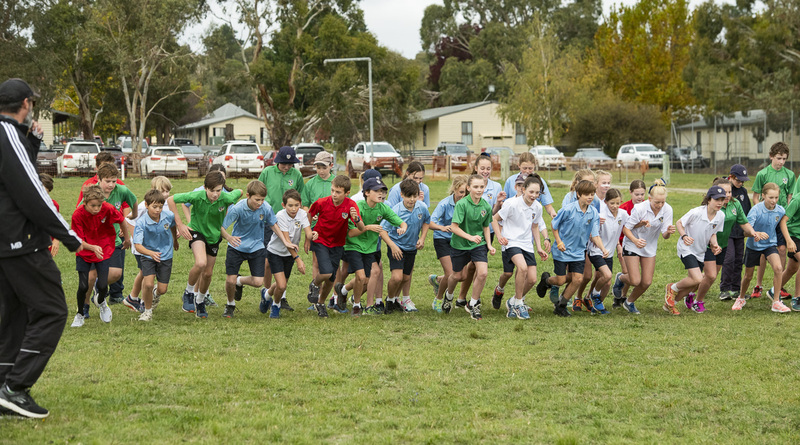 I would like to recognise all those who participated with excellence by demonstrating outstanding sportsmanship. 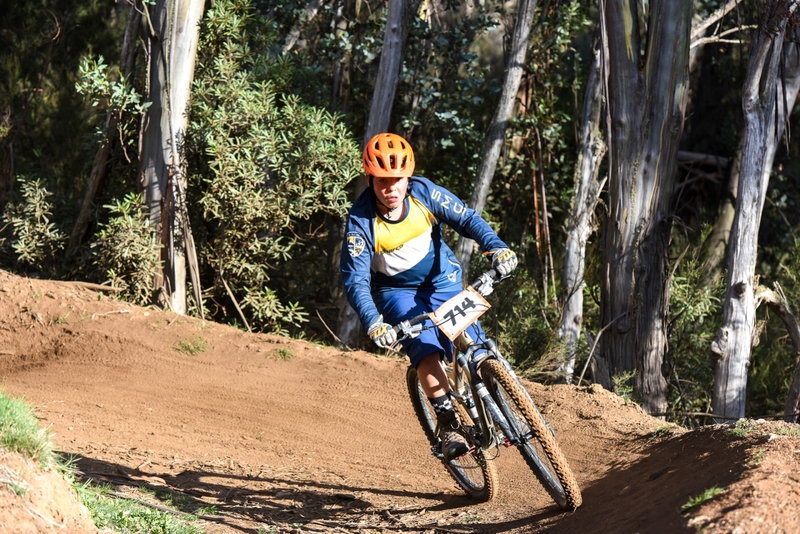 It is one thing to win, but another to win with integrity and other important traits embedded in the process of winning. 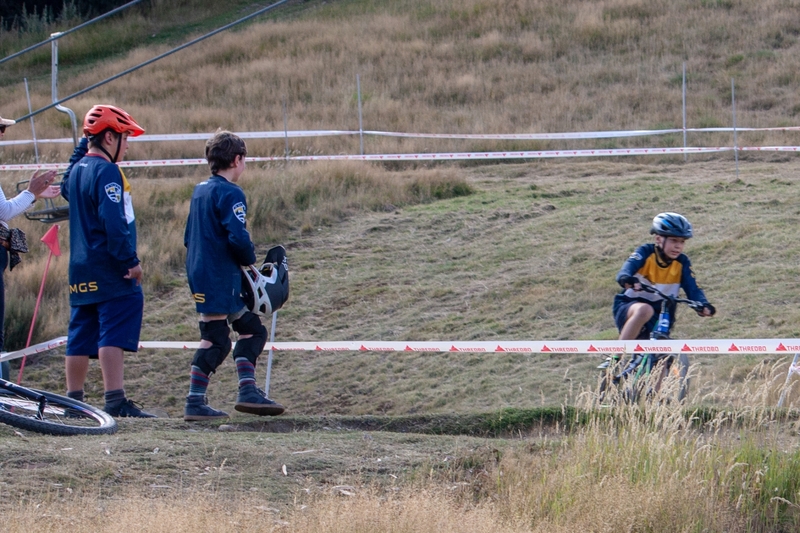 Sometimes competitors have a difficult choice to make, such as foregoing any chance of winning when stopping to render assistance to a fellow rider in need. 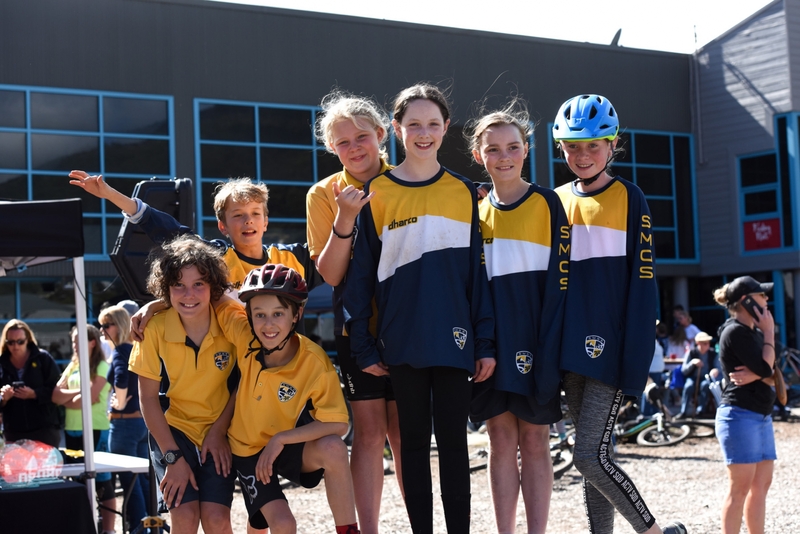 “Over the past week, we have received several messages from members of the public praising our students’ sportsmanship, integrity, kindness and behaviour. 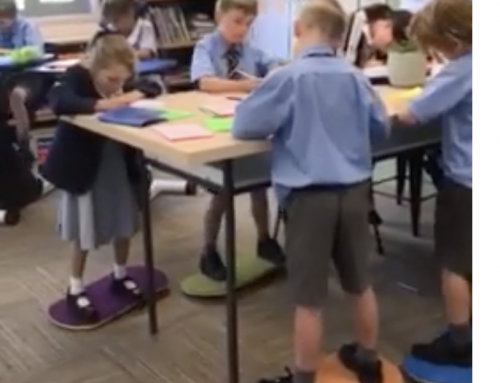 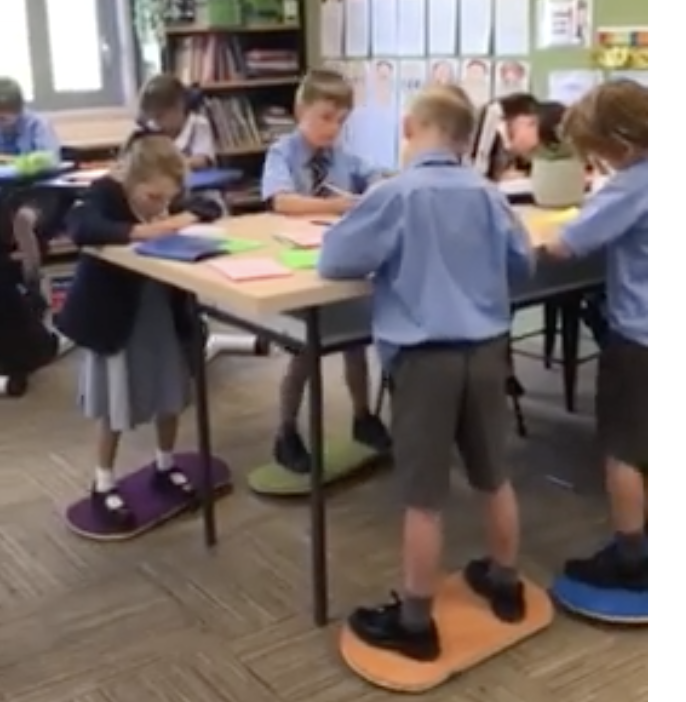 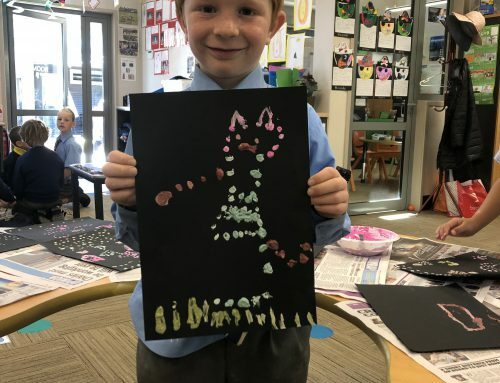 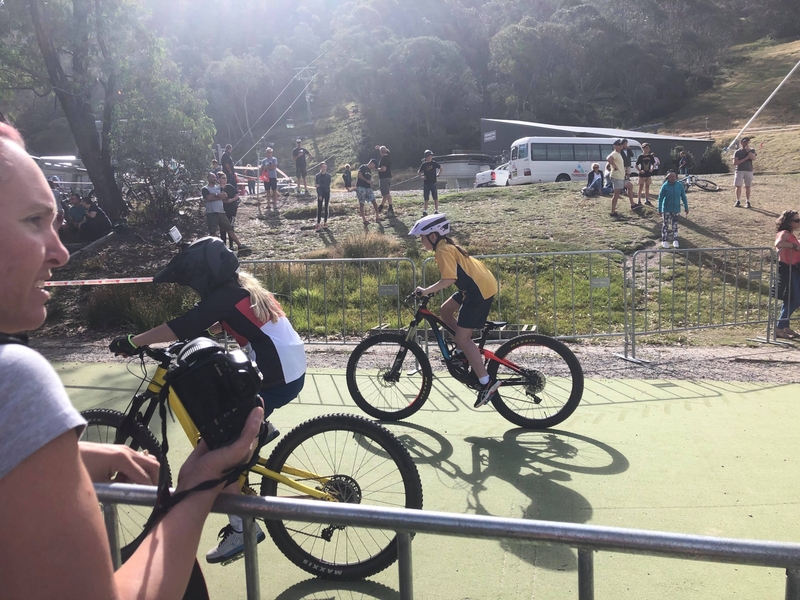 Two examples that illustrated this involved Year 6 students, Olivia Roche and Harry Fuller, both of whom put another competitor’s needs ahead of their own and thus gave up their chance of a podium finish. 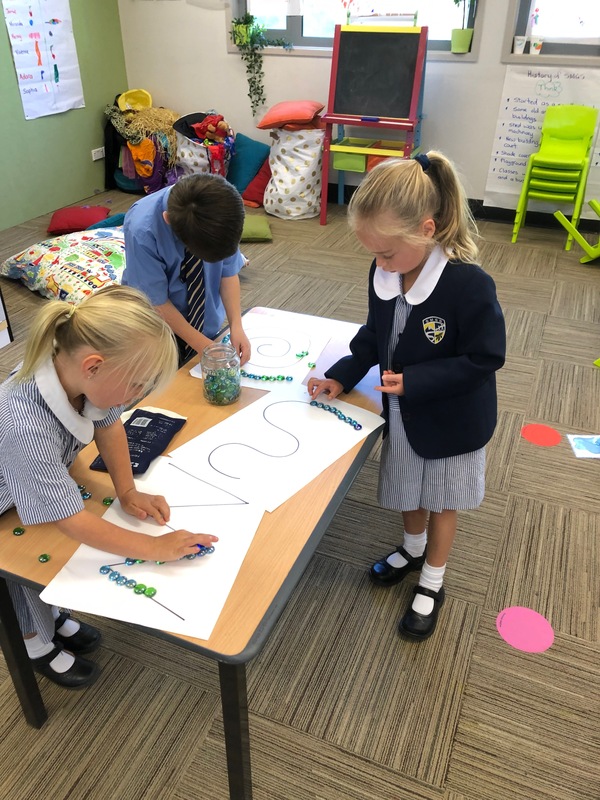 They therefore won, but in a different way. 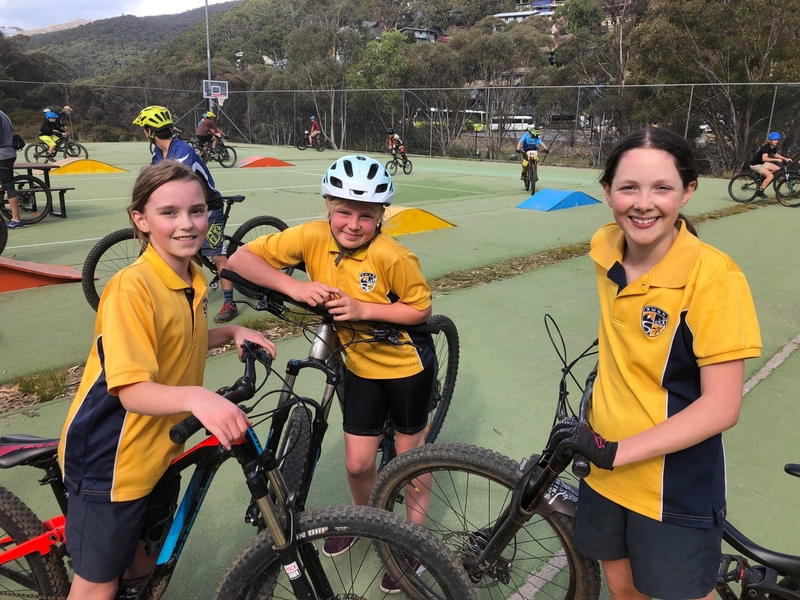 I commend both these students, and all others from our school or any other, who choose to place the needs of others and their wellbeing ahead of their own. 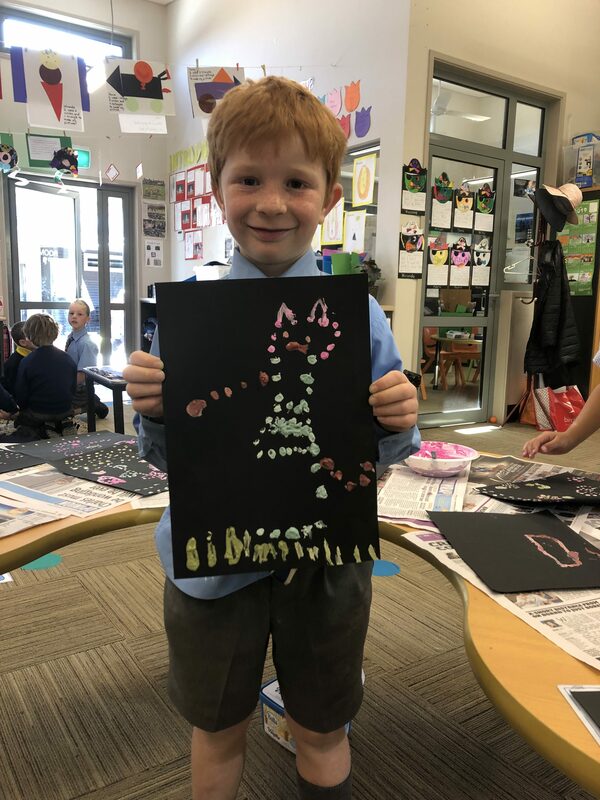 Neither of these cases involving Olivia or Harry surprised me when I heard about them several days apart, although I am always uplifted to learn when this occurs in our school community. 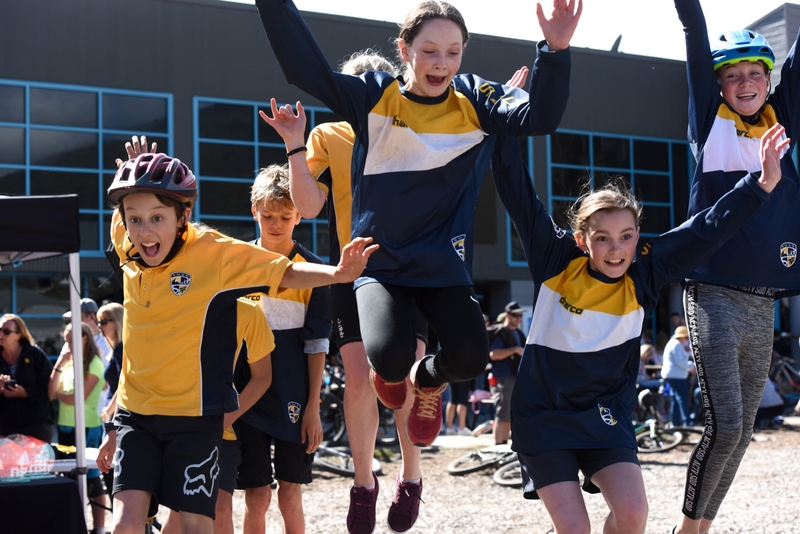 As one of the members of the public stated in their email, ‘… wins come and go, but actions like these have a lasting, positive impact on more than one person’. 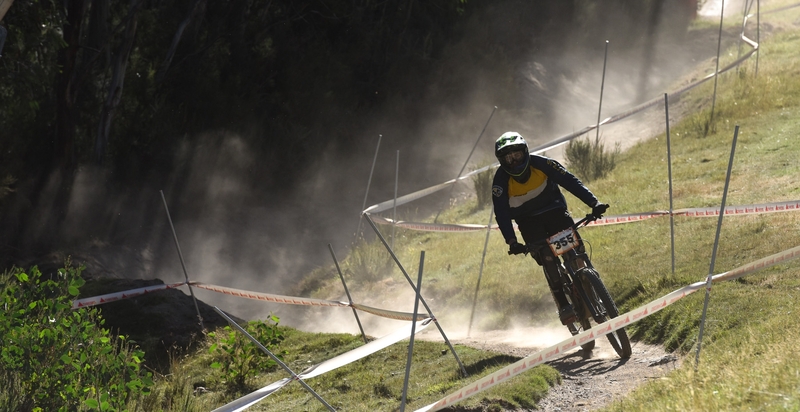 -The rider to be at an intermediate level and/or keen to develop more gravity-focused MTB skills. 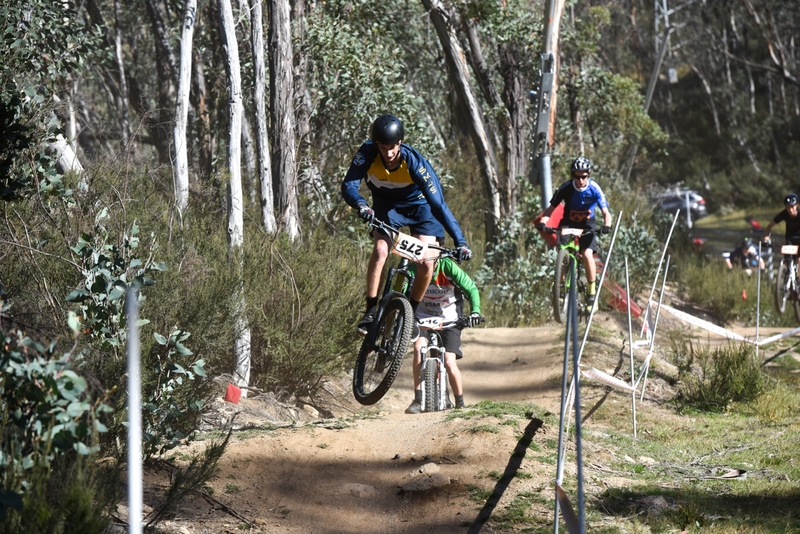 This year’s recipient was Kalob Blyth. 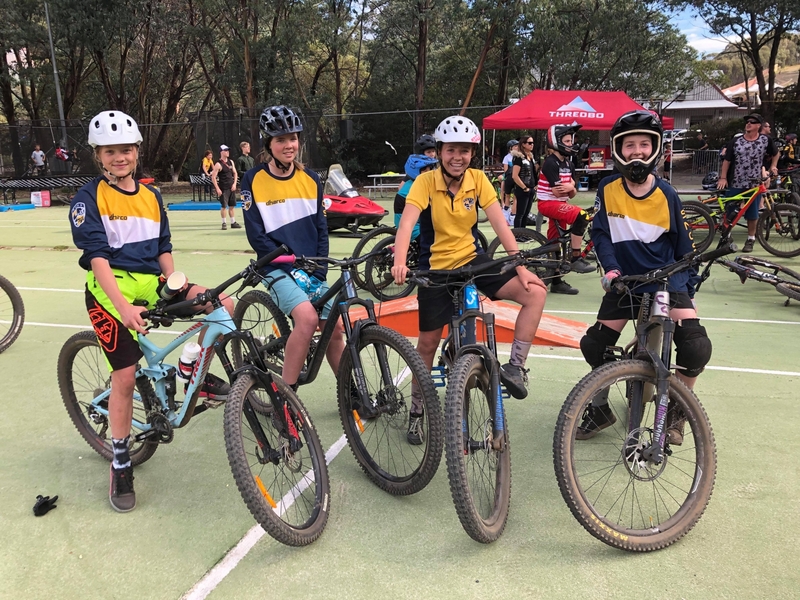 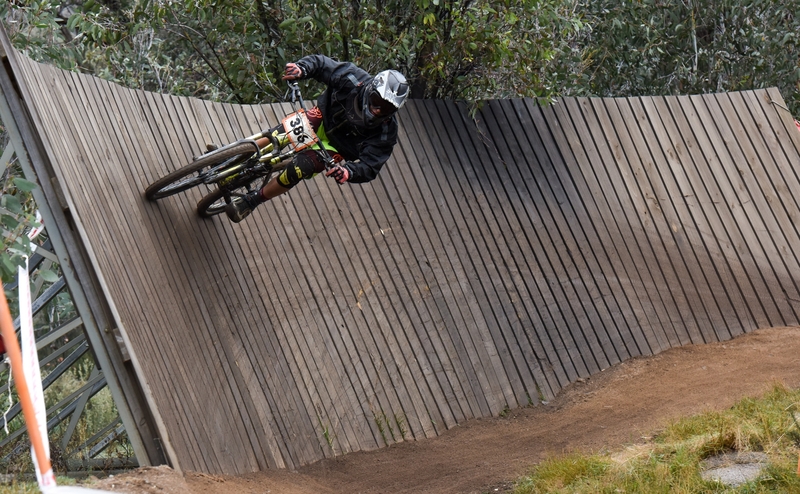 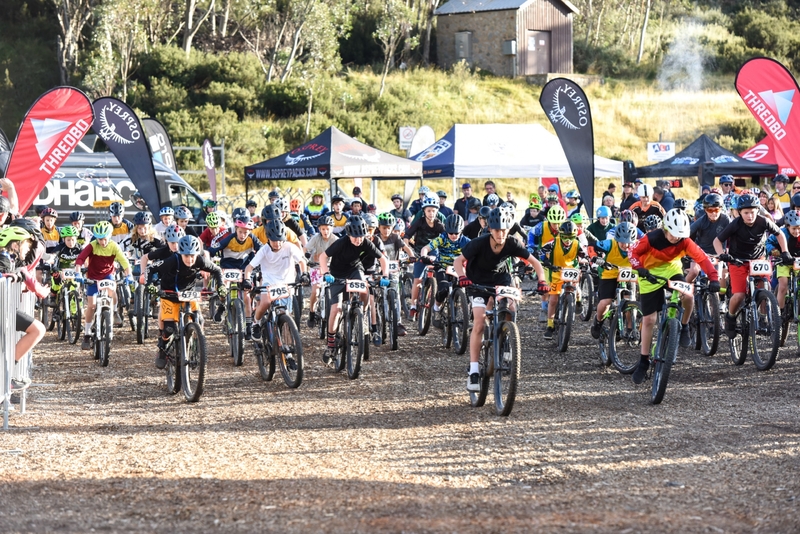 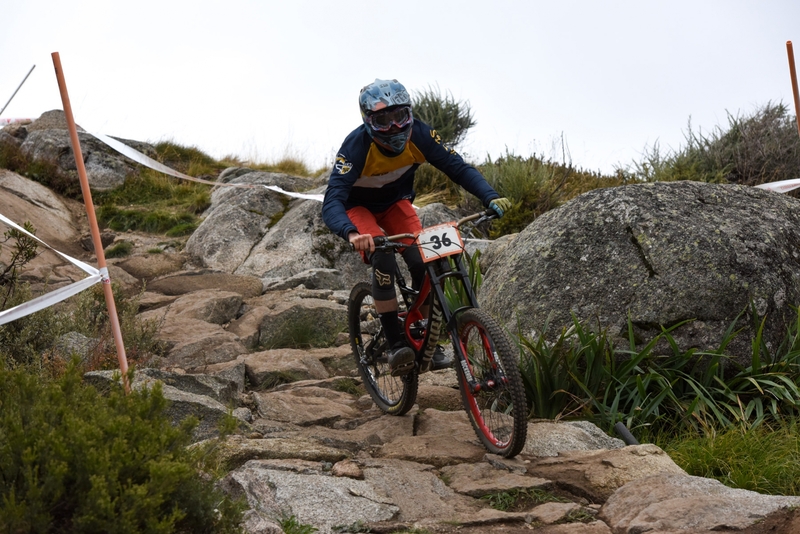 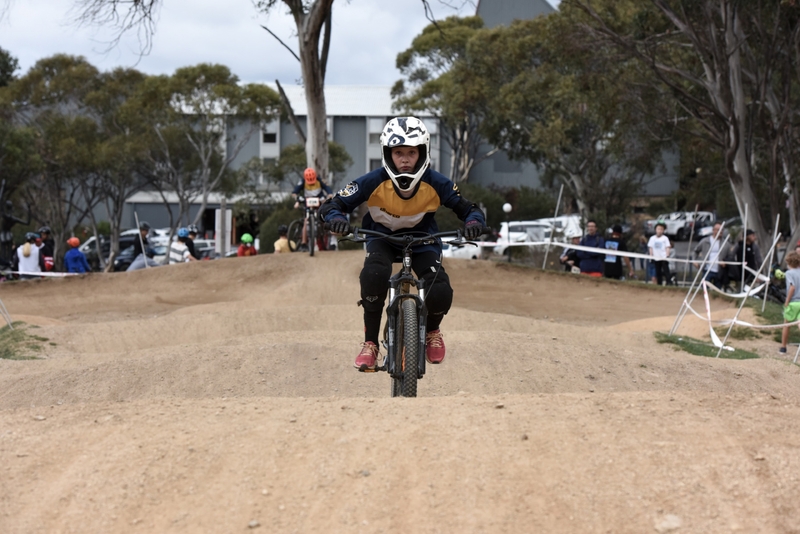 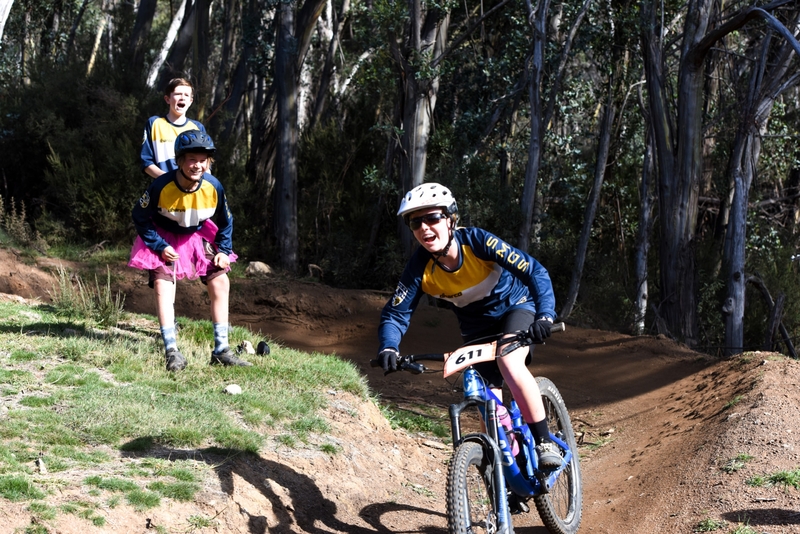 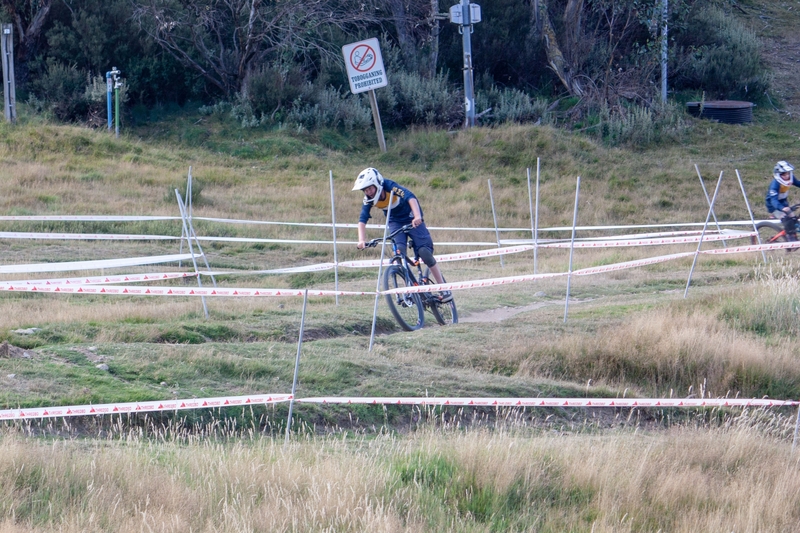 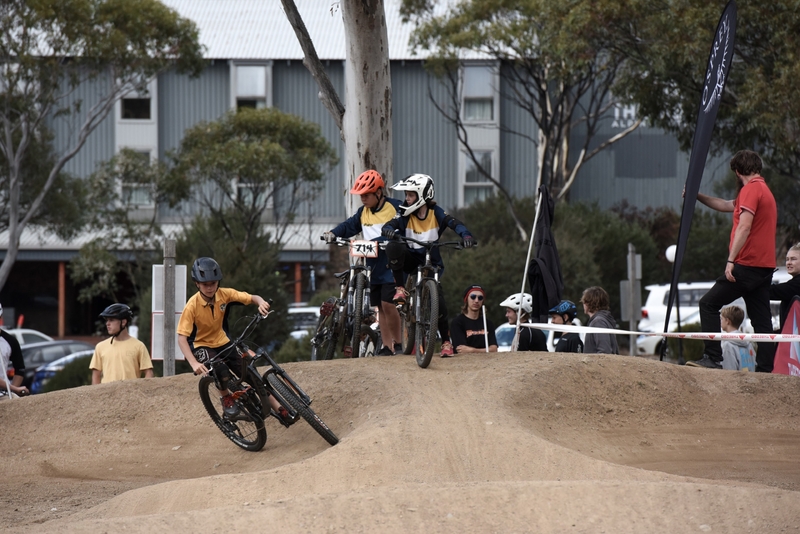 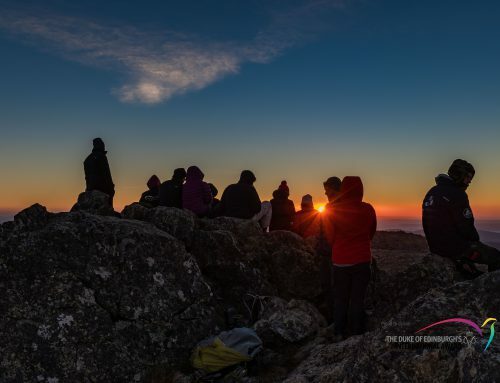 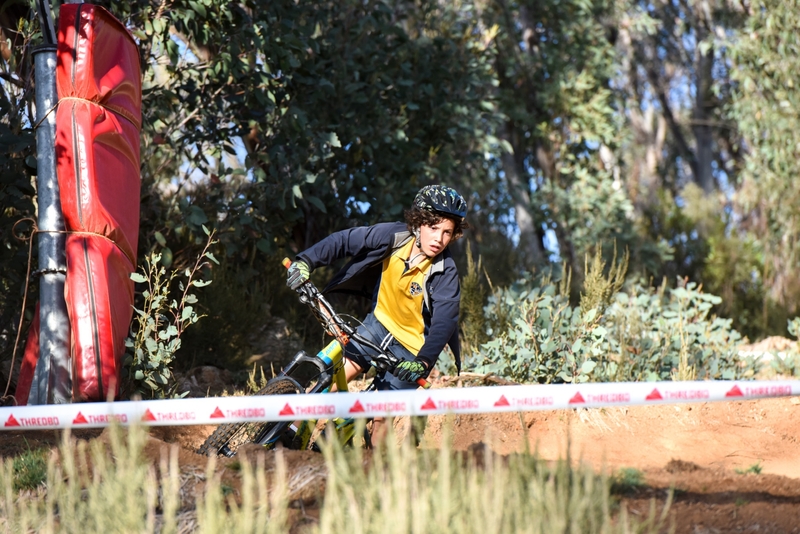 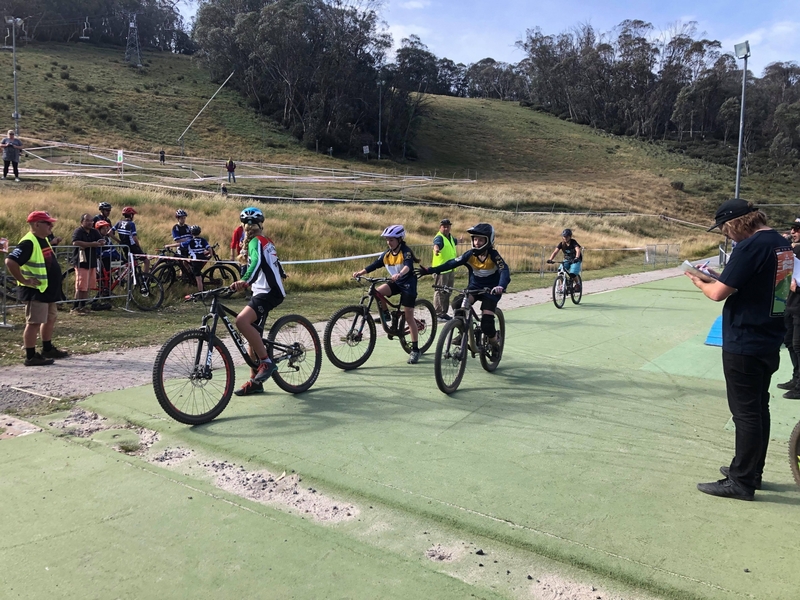 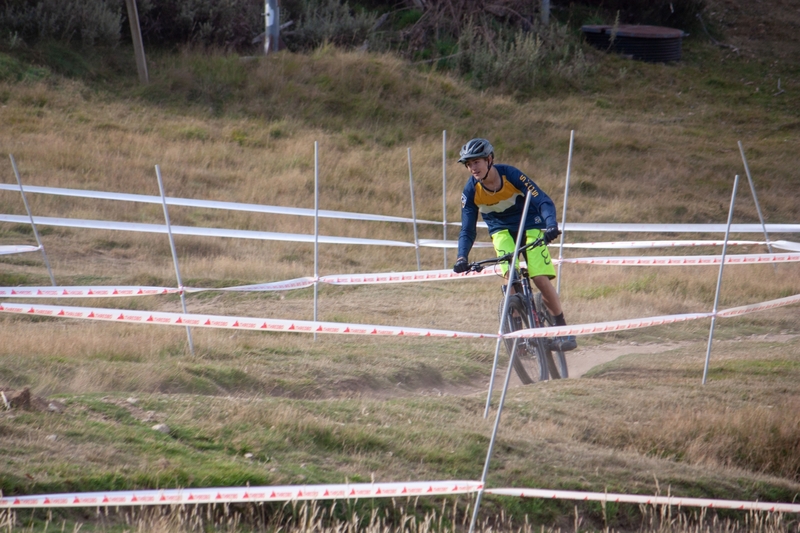 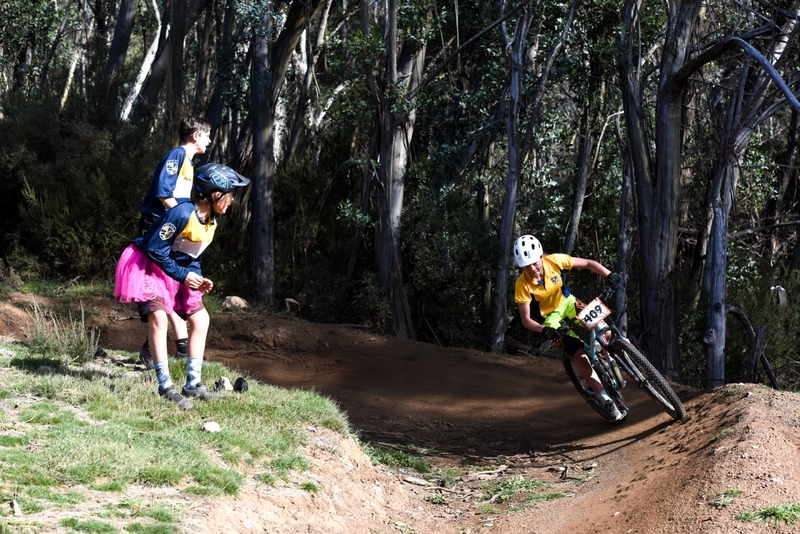 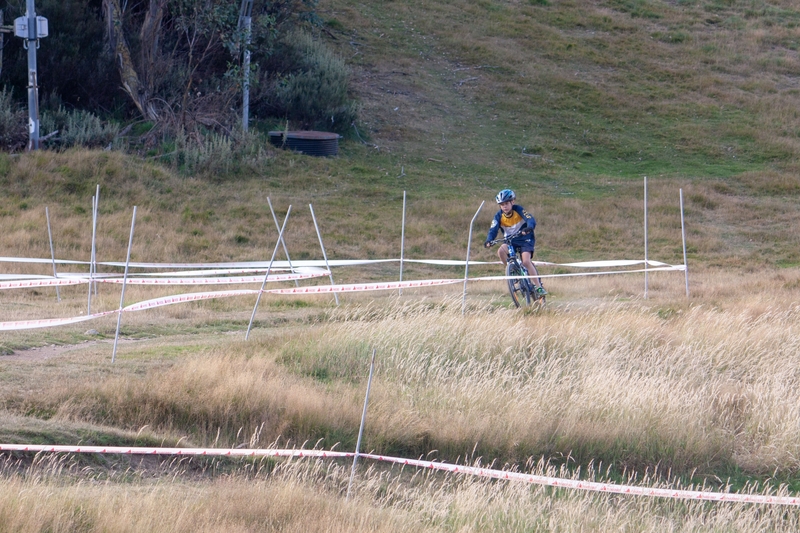 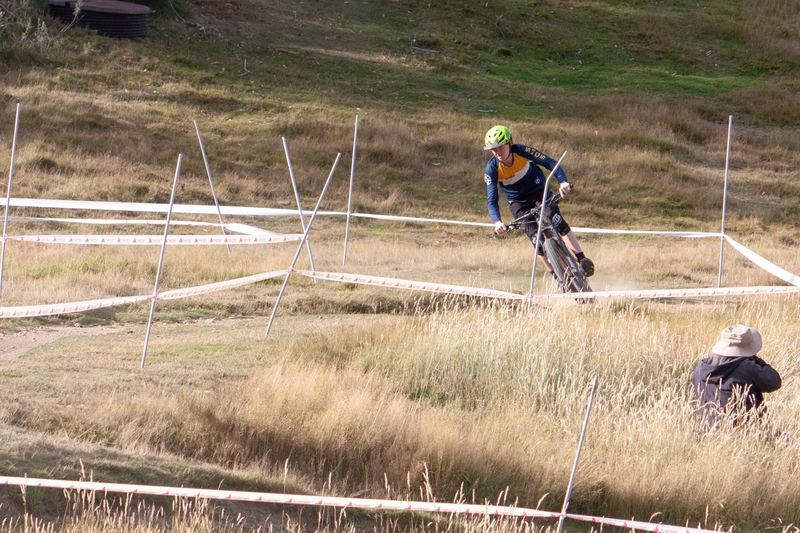 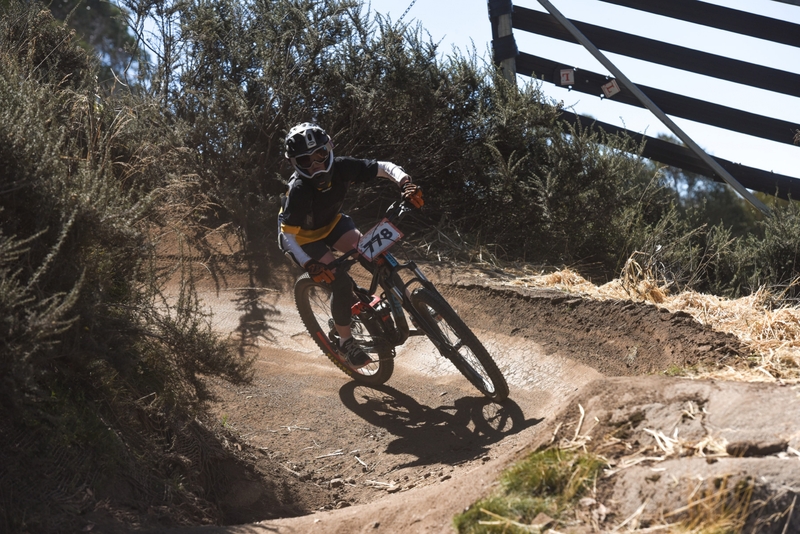 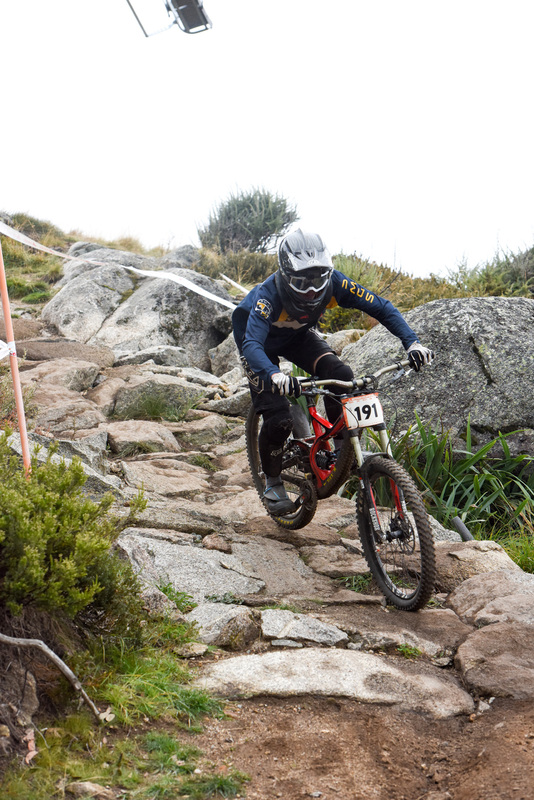 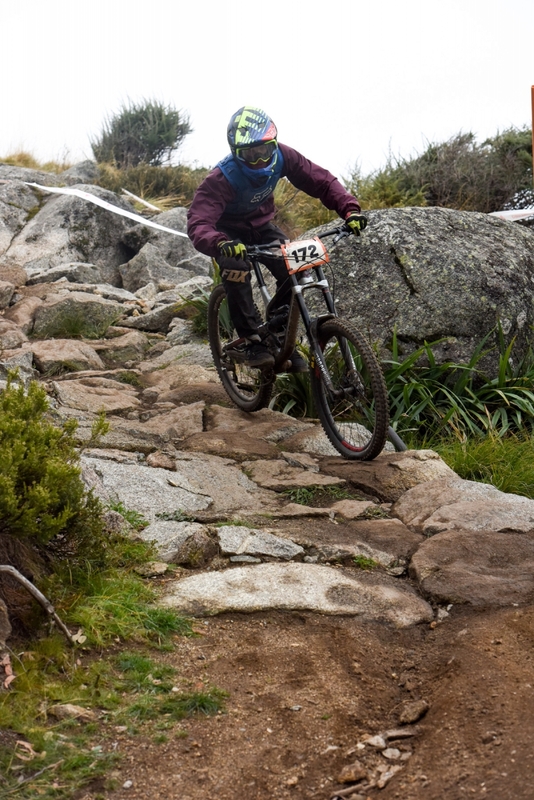 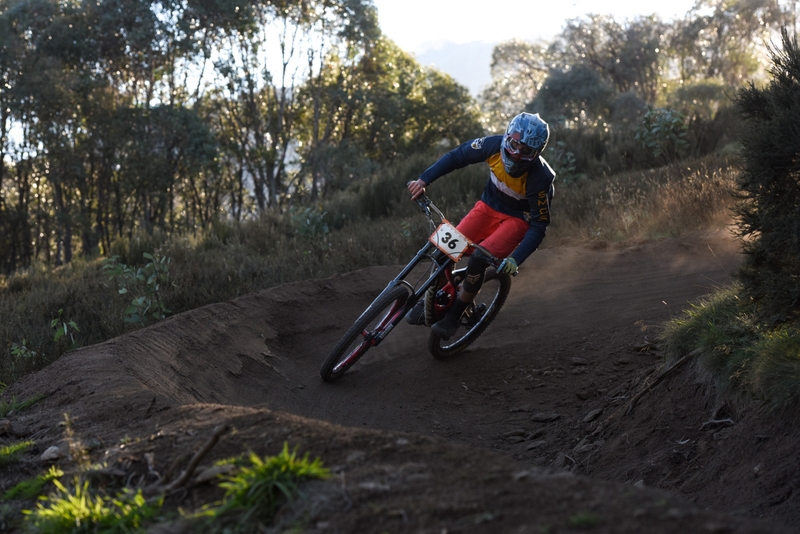 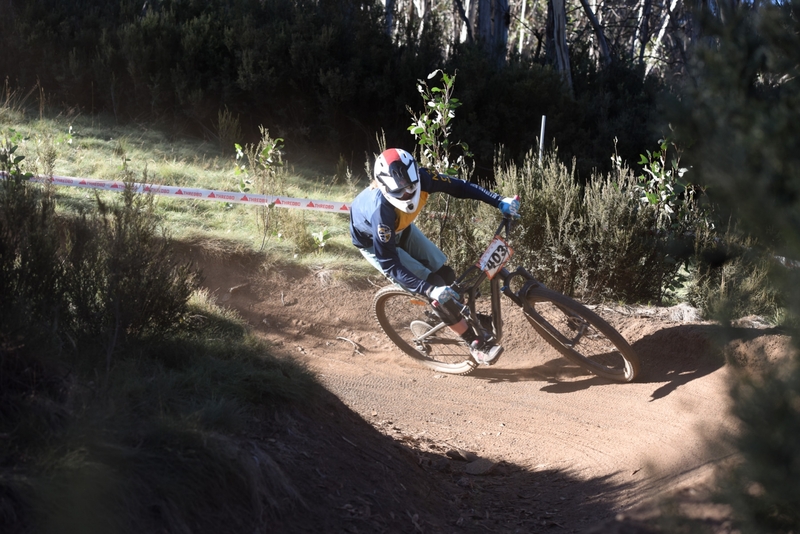 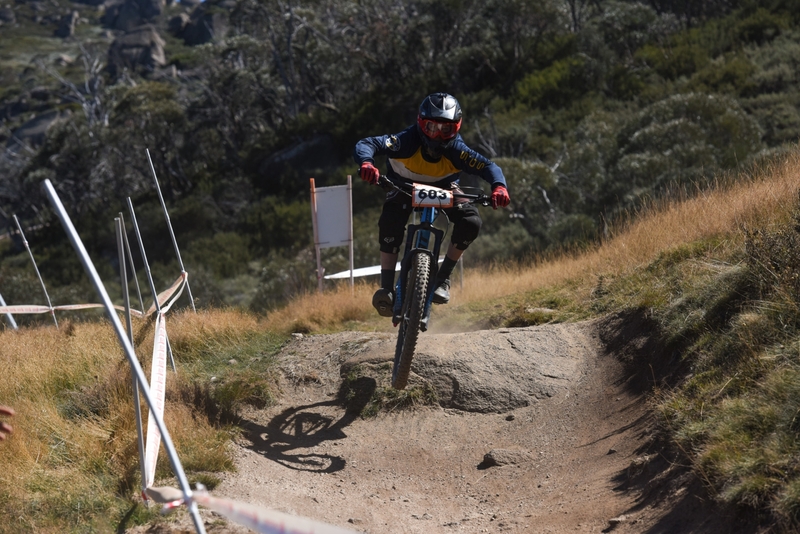 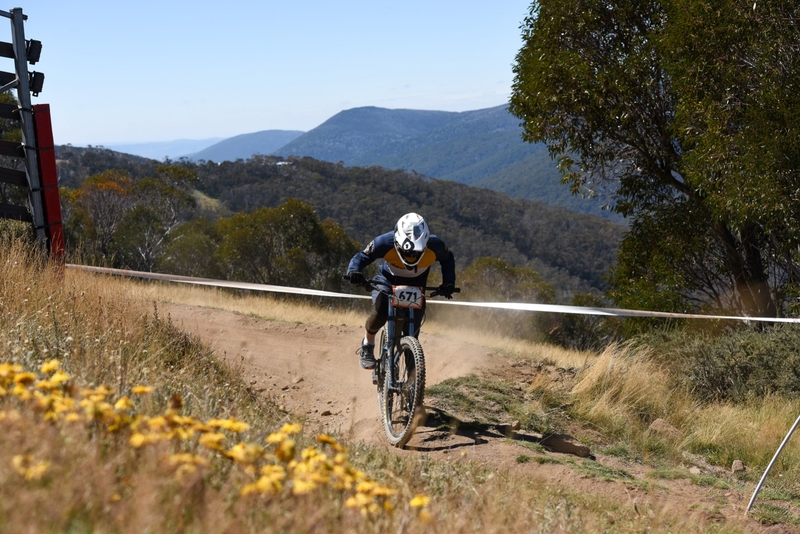 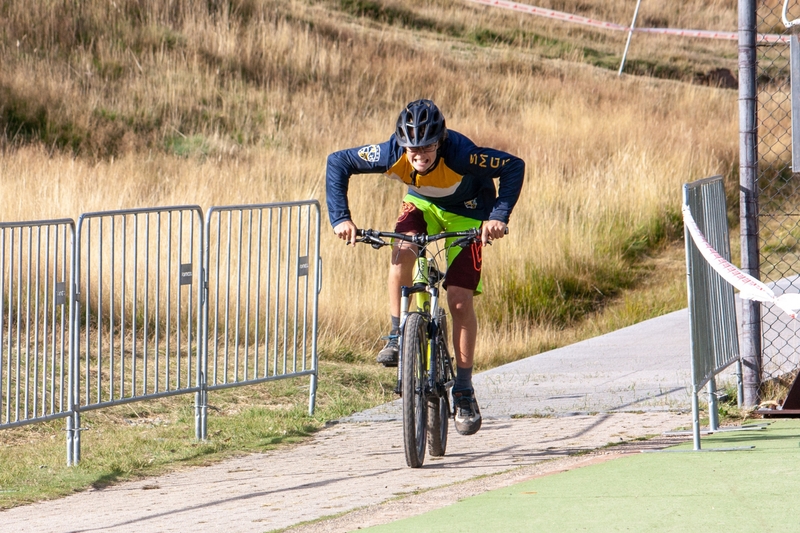 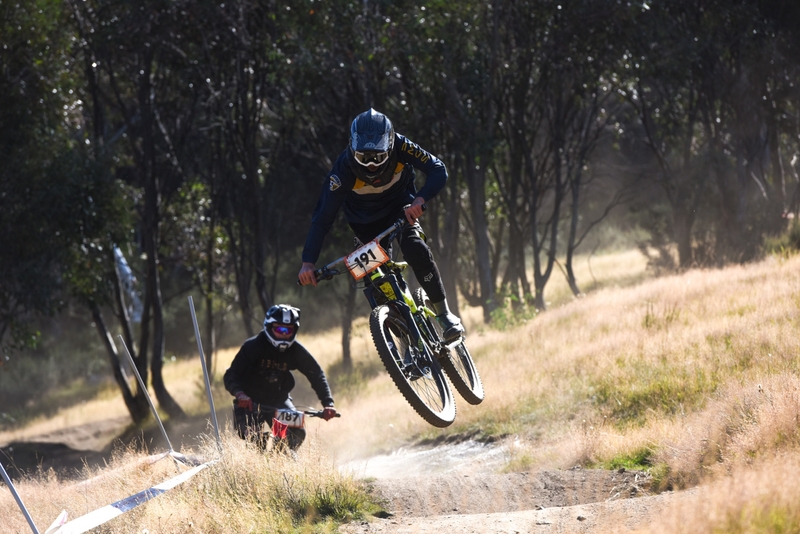 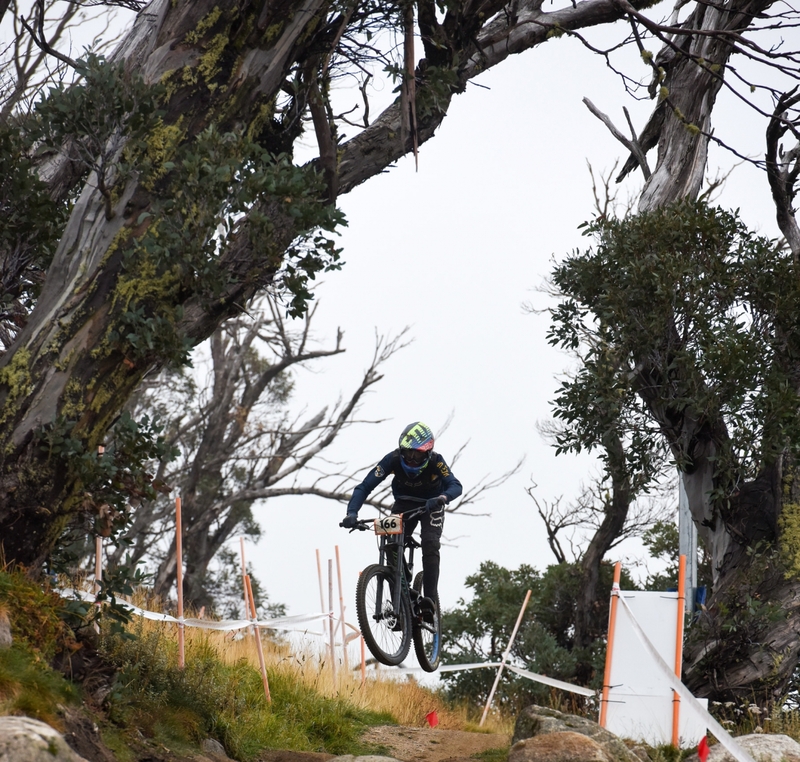 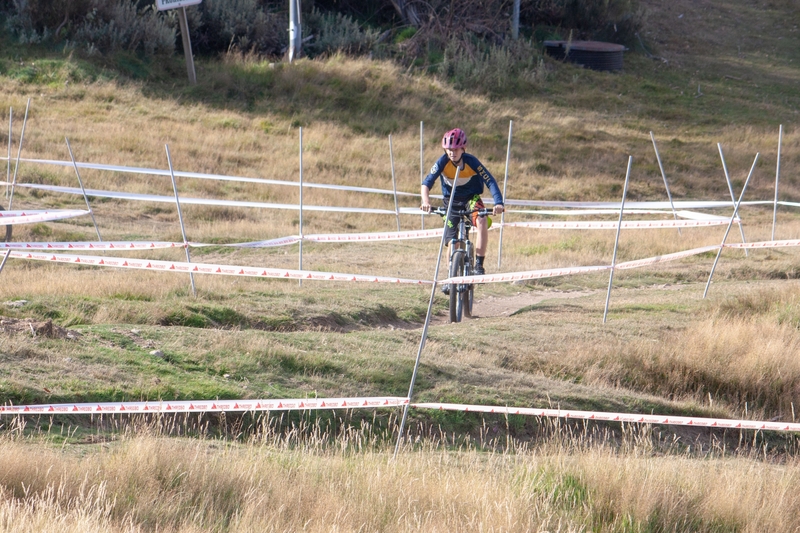 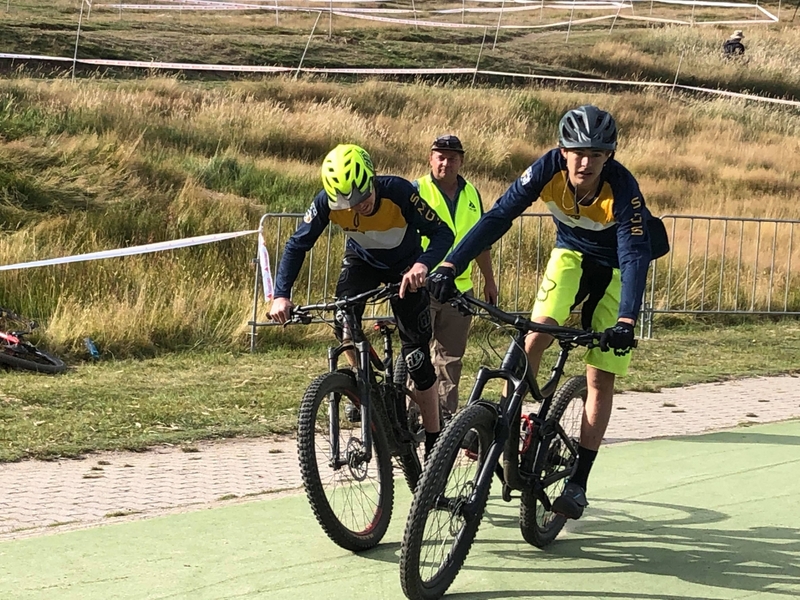 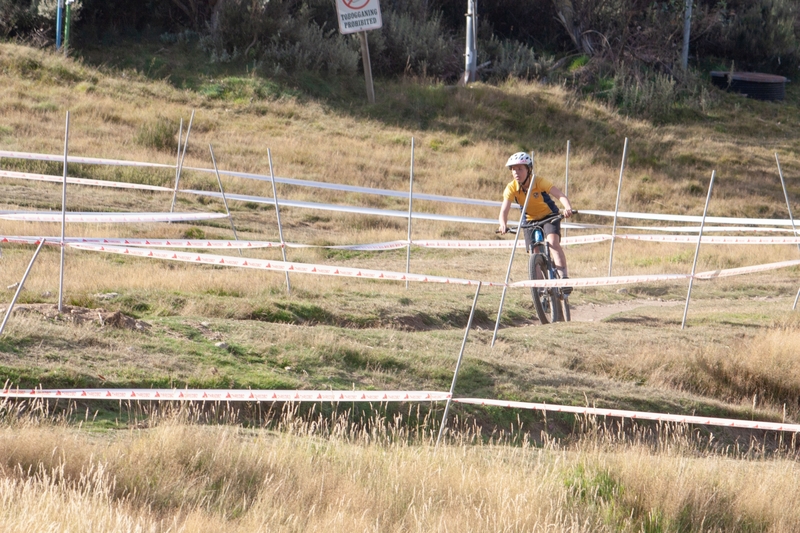 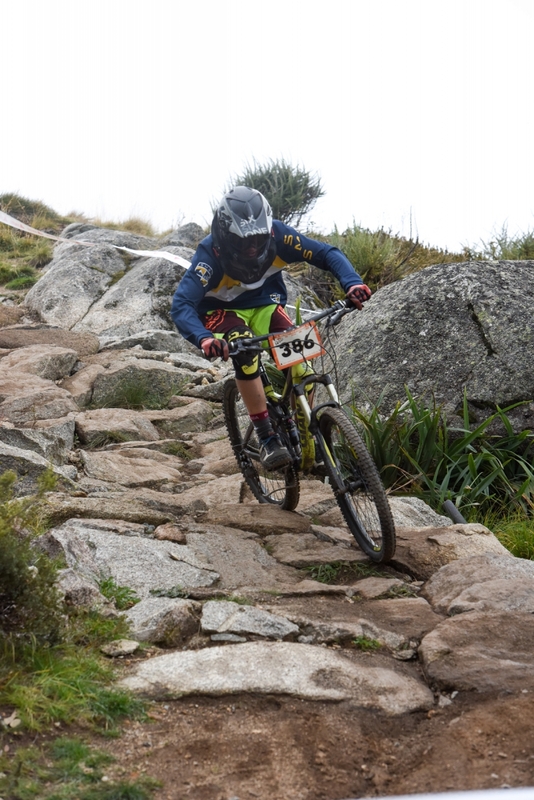 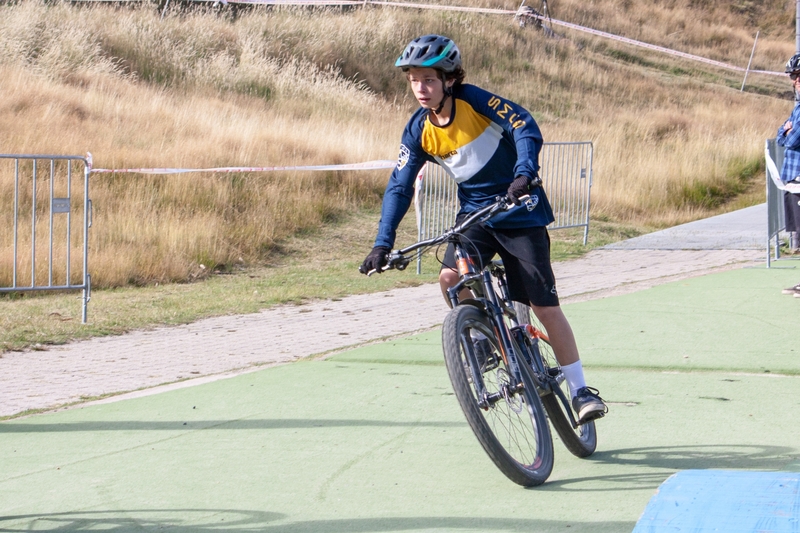 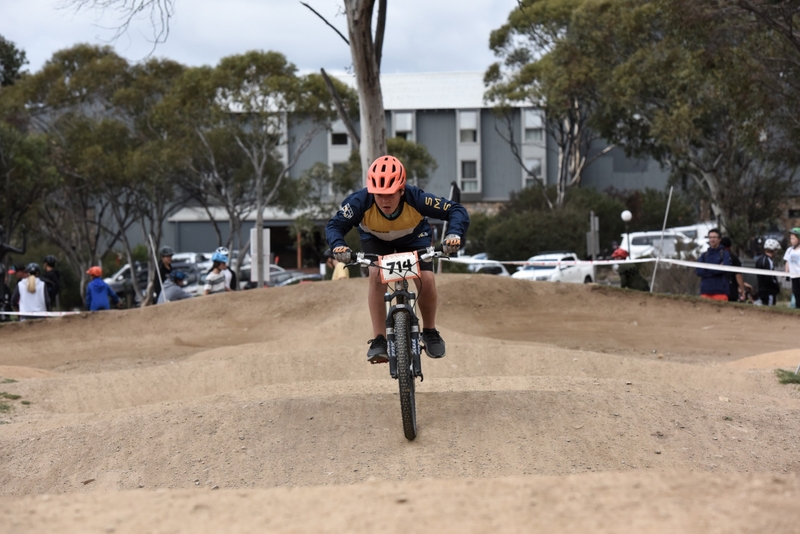 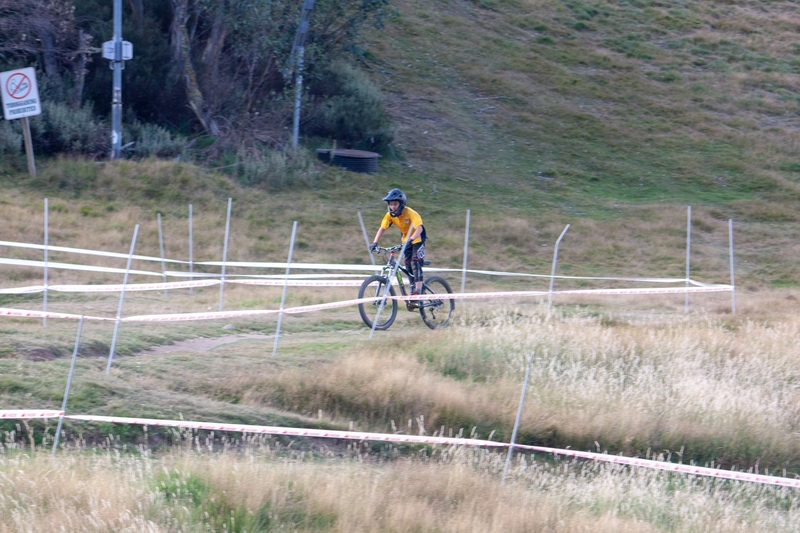 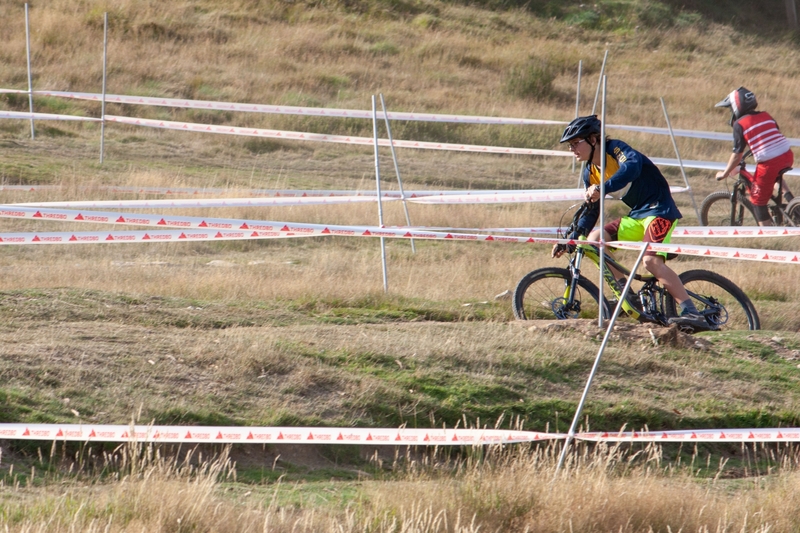 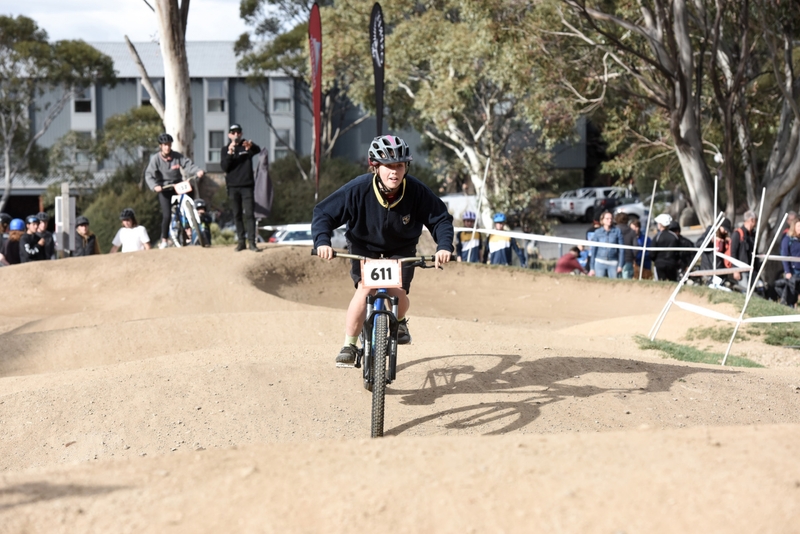 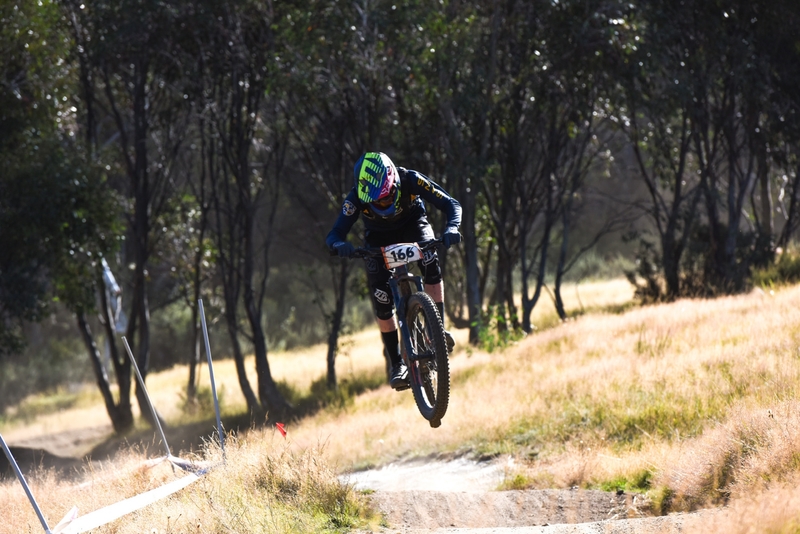 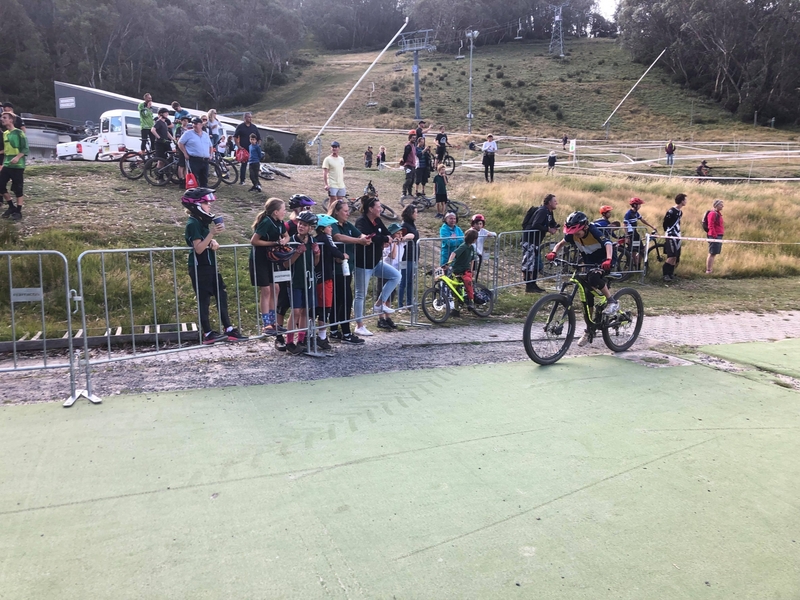 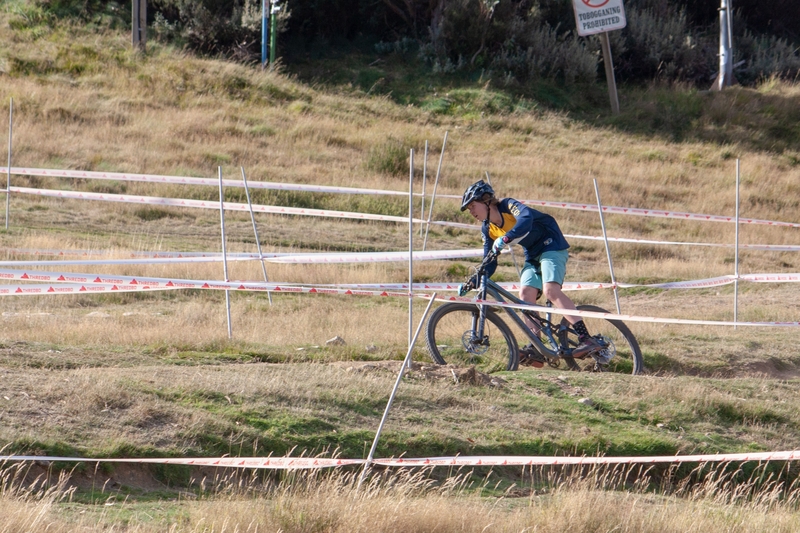 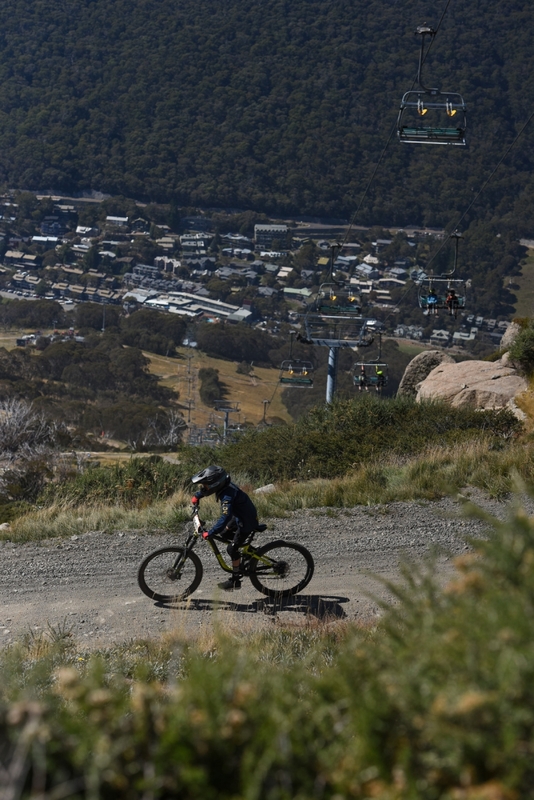 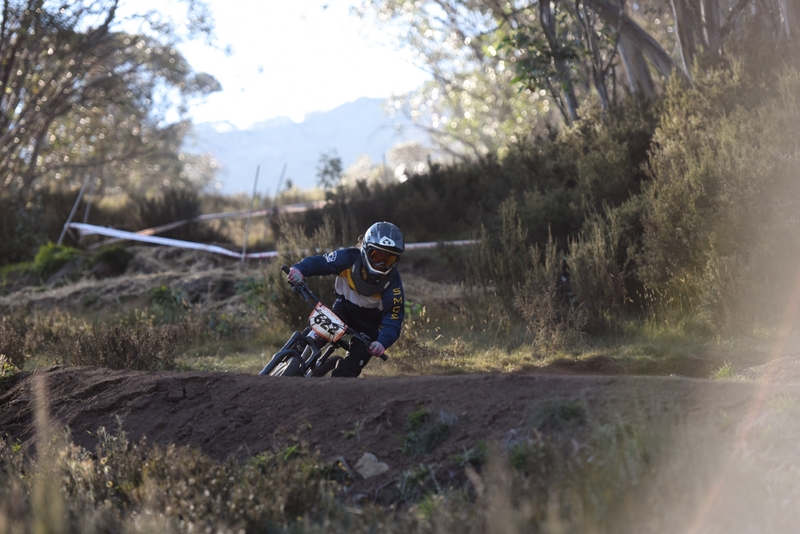 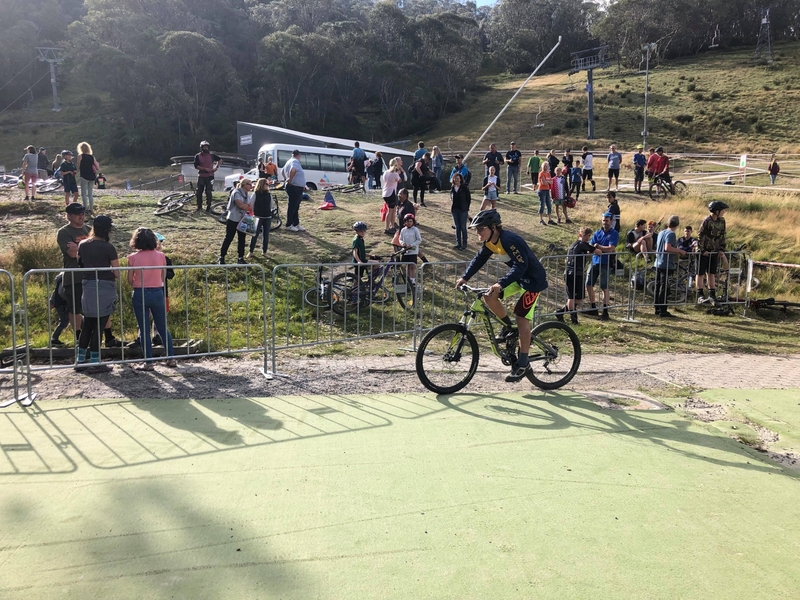 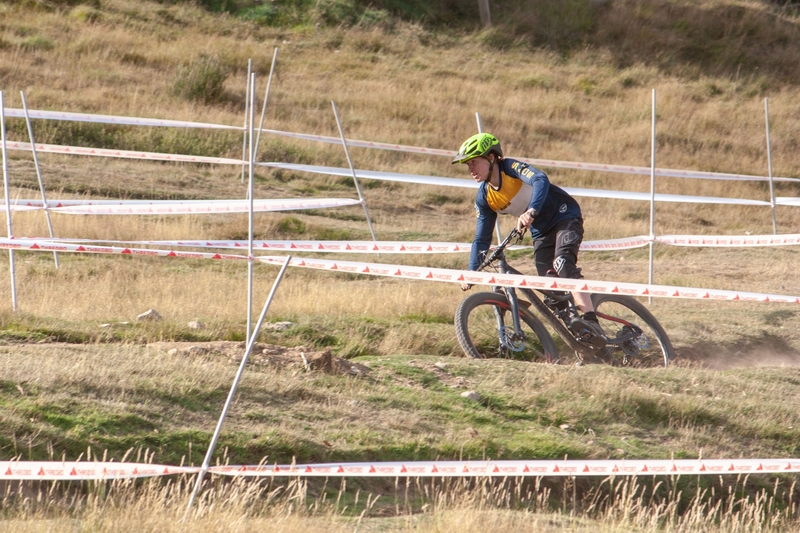 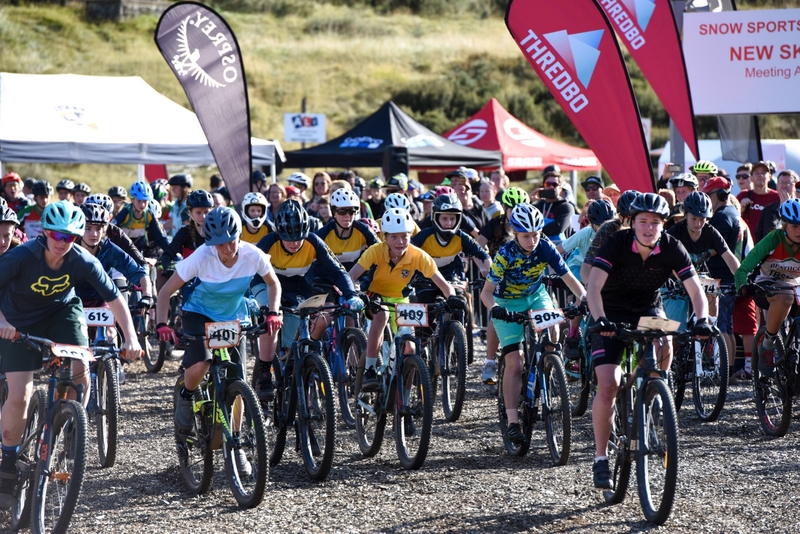 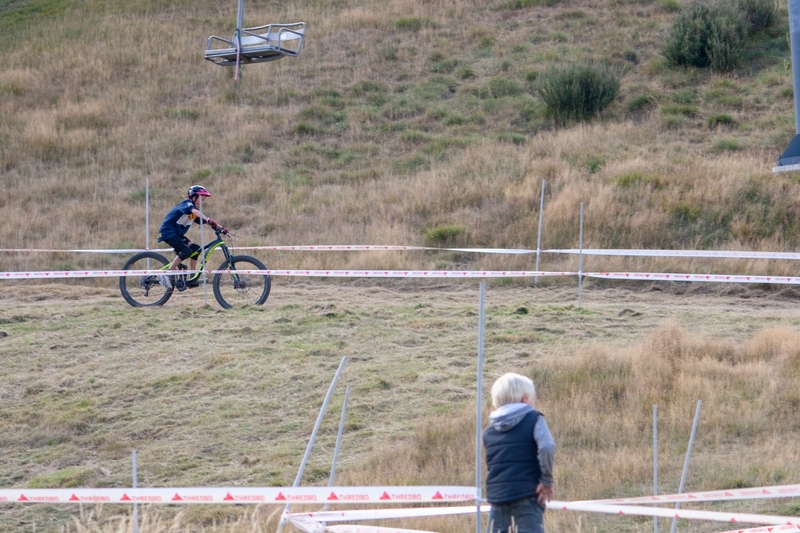 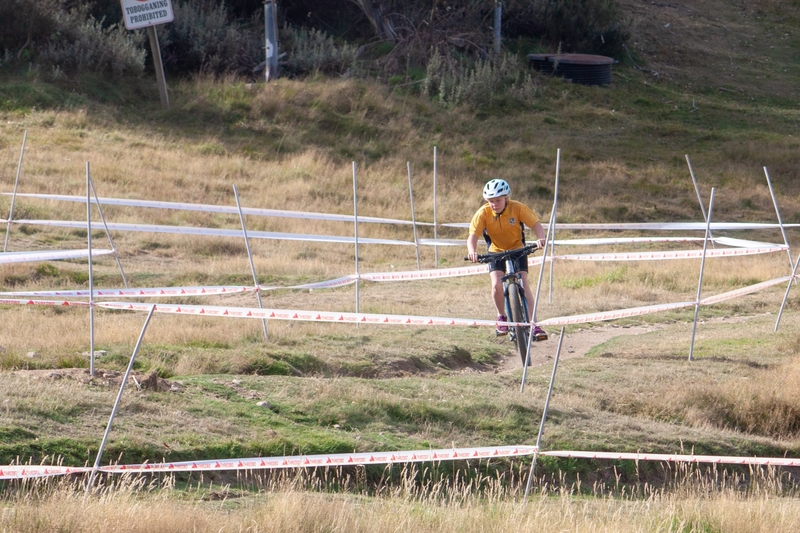 Of this year’s mountain bike interschools event, Kalob said, “I would like to thank Thredbo and SMGS once again for the 2019 interschools that was an absolute blast. 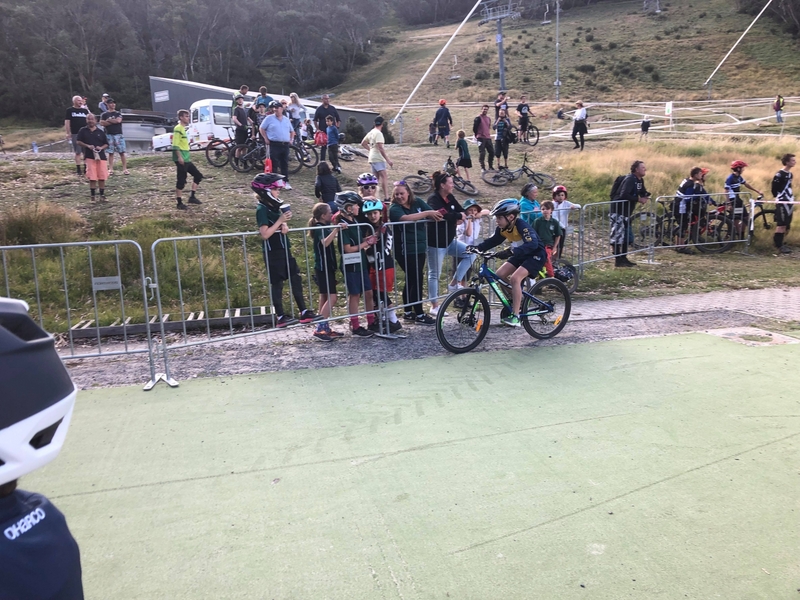 I honestly don’t have anything negative to say about the whole week, but it was great to see all the little kids, the girls, and anyone else learning to ride and/or getting involved with the SMGS team in this year’s MTB interschools. 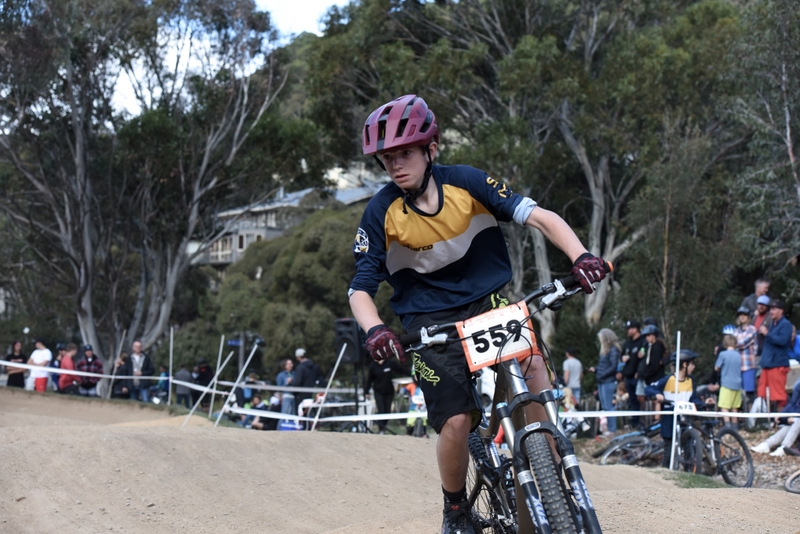 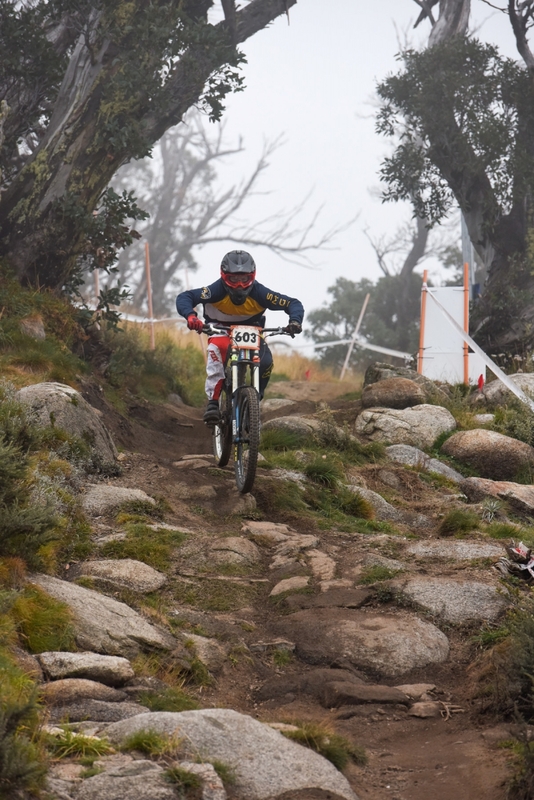 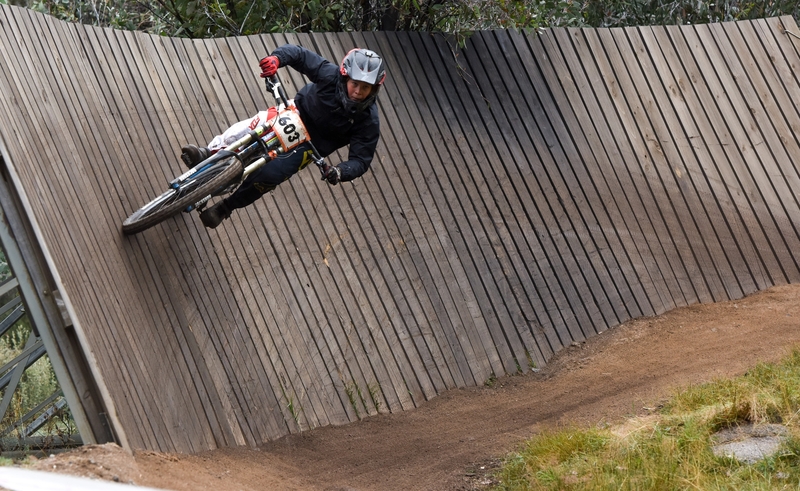 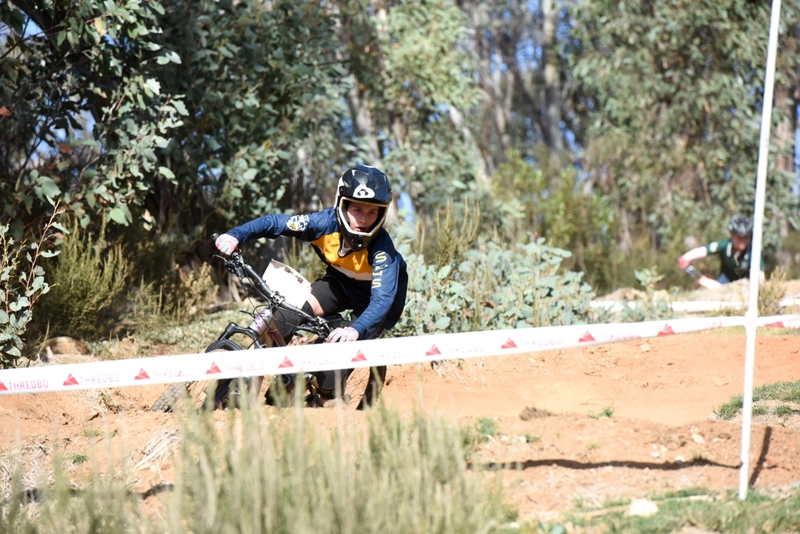 “I would also like to mention the mountain bike interschools scholarship and say a massive thanks to Thredbo for helping me in the lead-up to interschools and setting me up in a pro clinic with Dean Lucas. 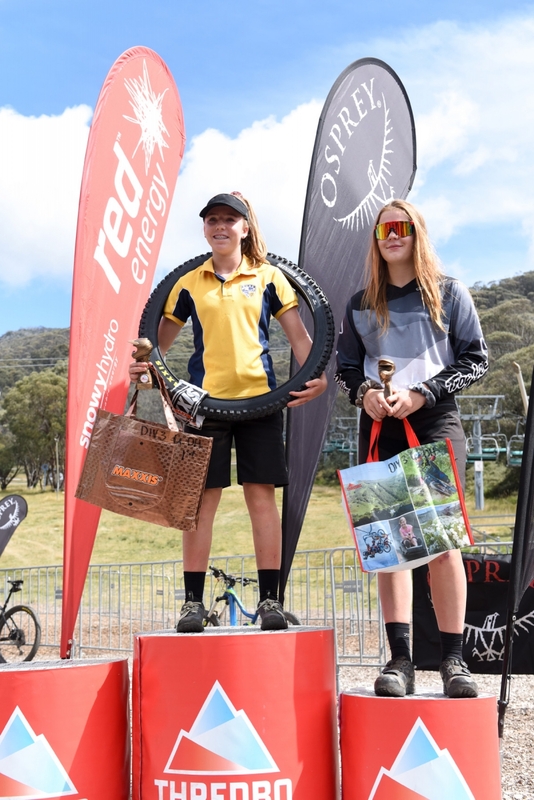 I would like to congratulate Jobe Gentle, Eve Donnelly and Ruby Smith for getting a podium in their races and anyone I may have forgotten.